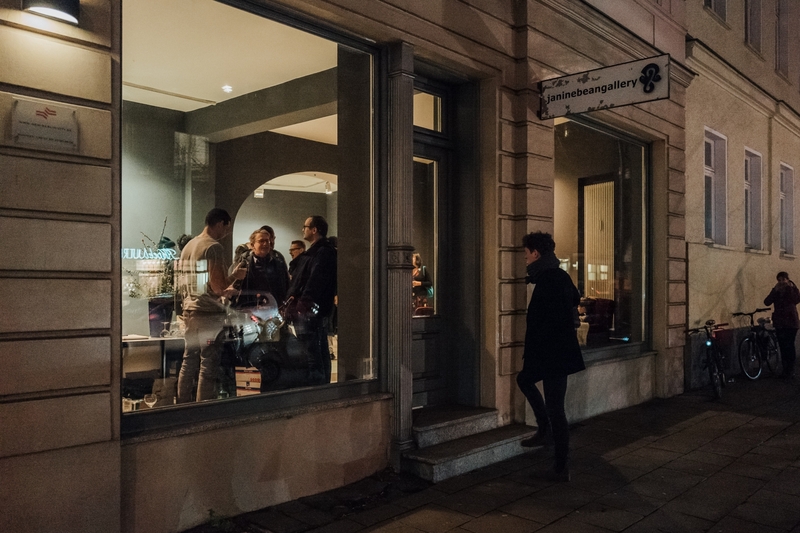 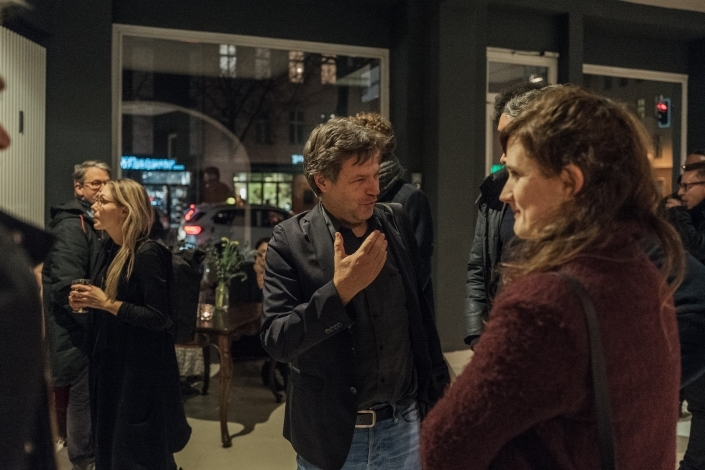 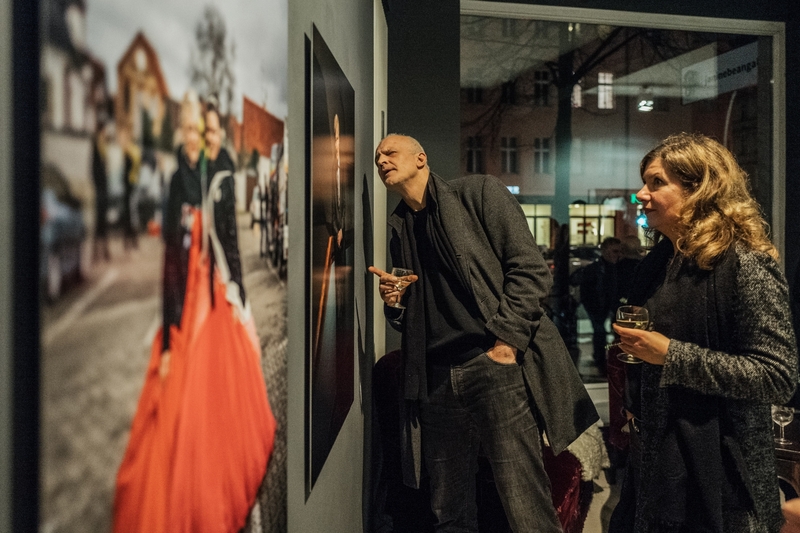 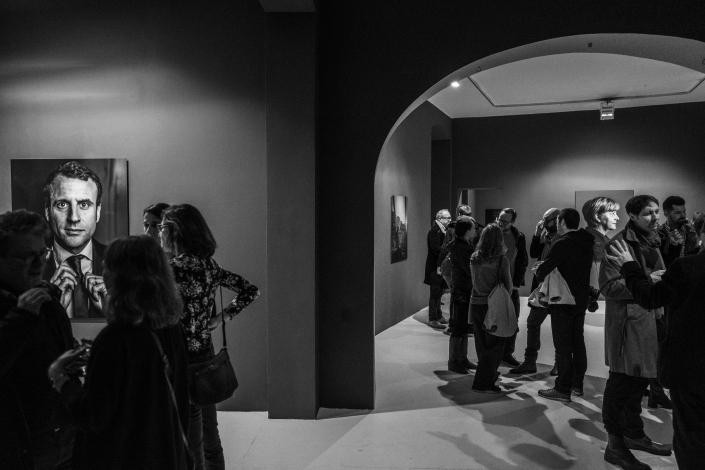 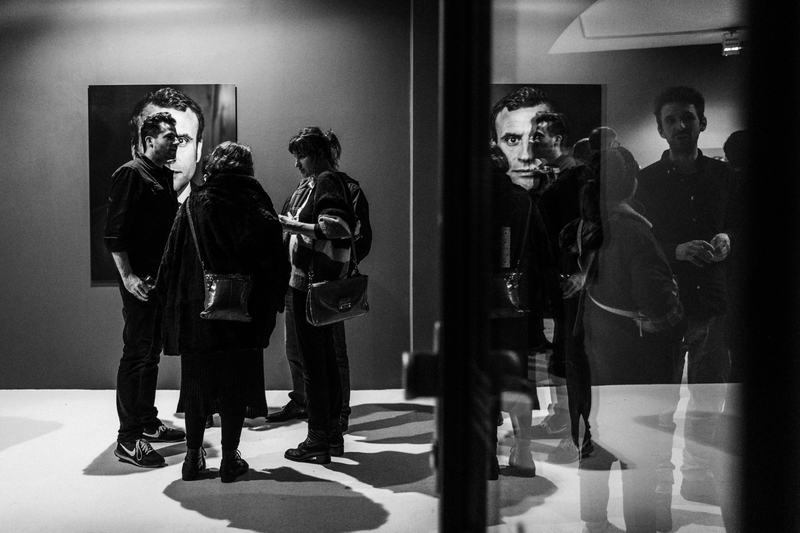 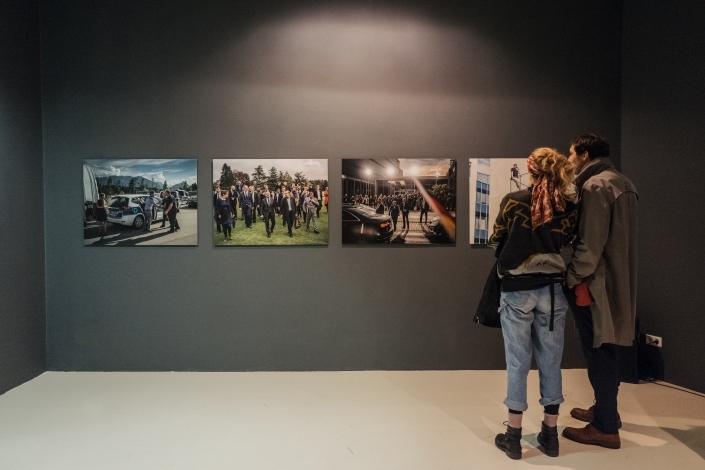 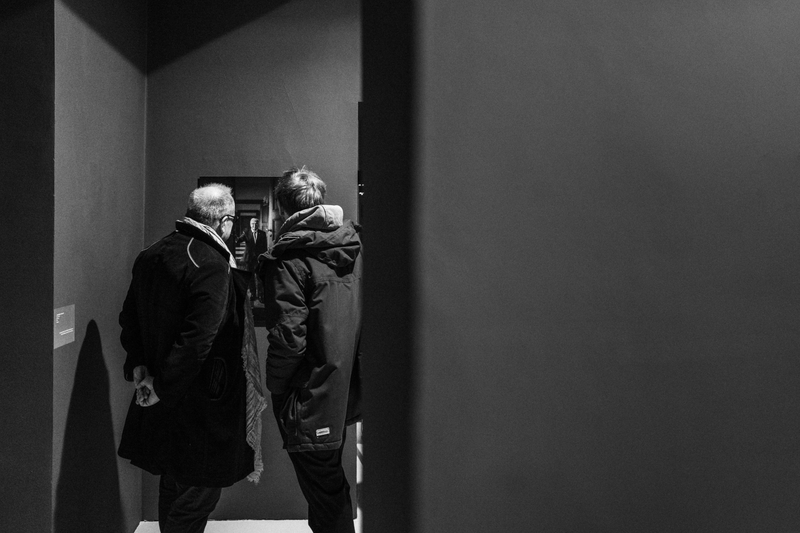 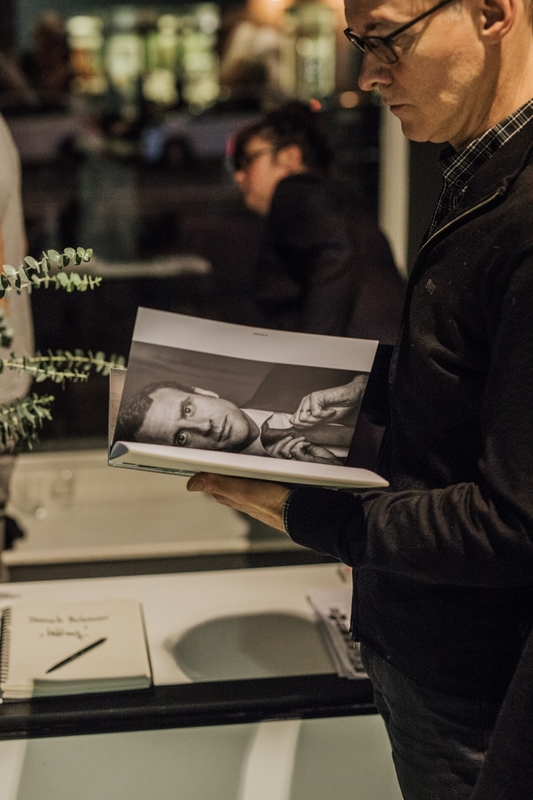 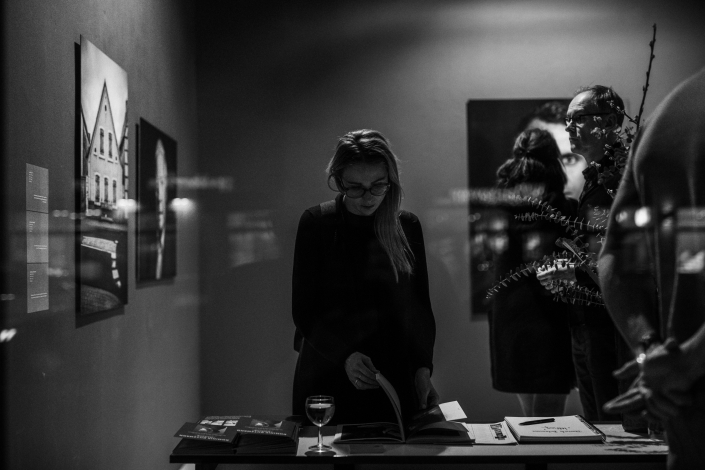 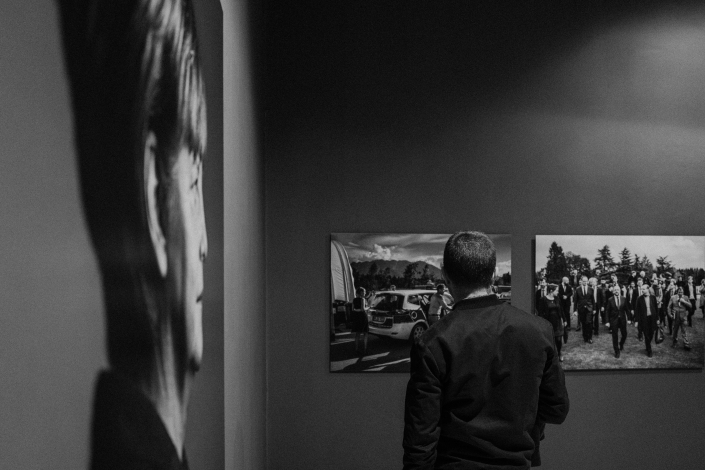 I could not believe how many friends, clients and enthusiasts were attending my exhibition „HALTUNG“. 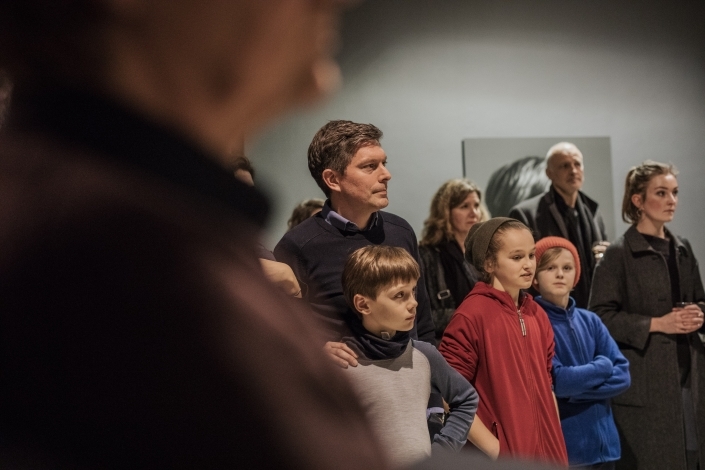 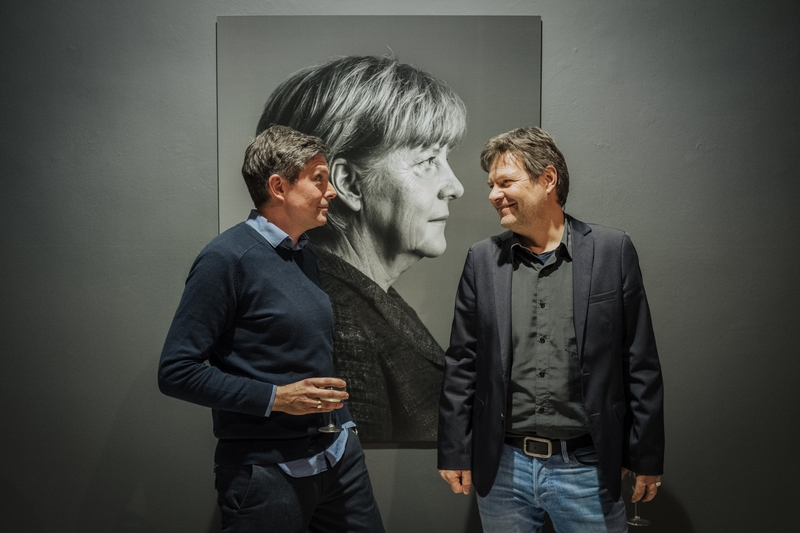 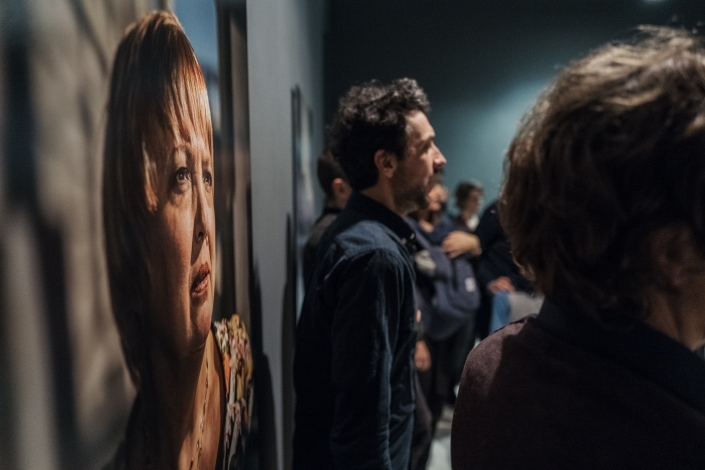 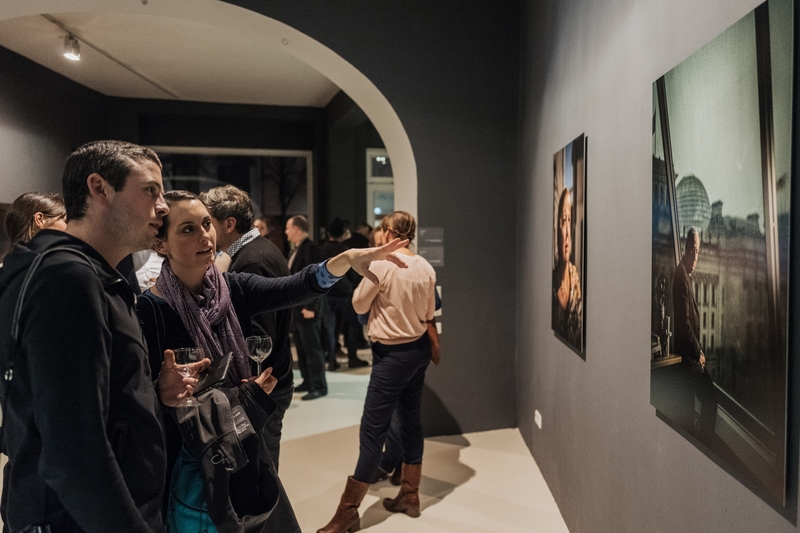 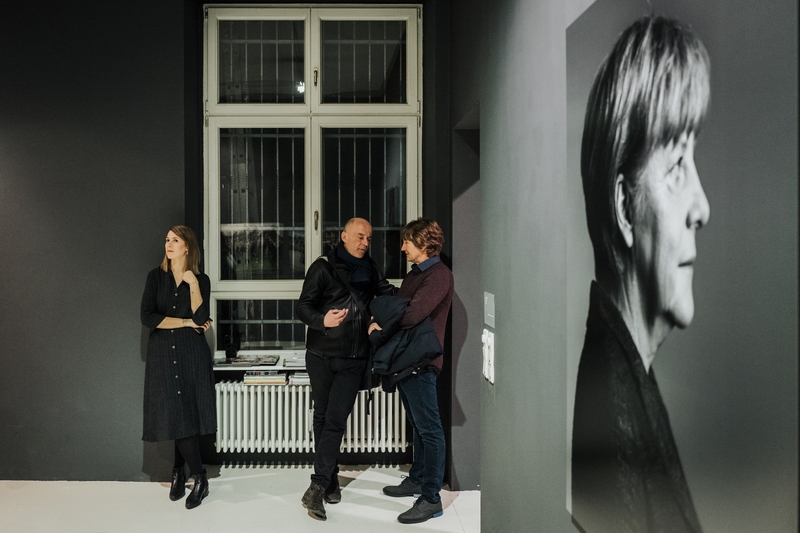 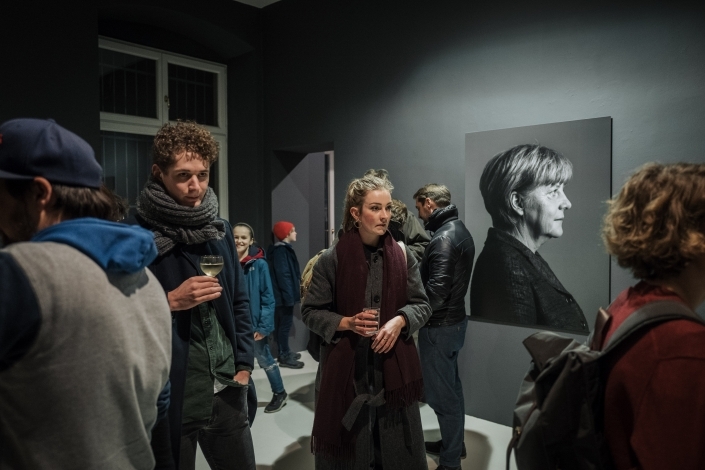 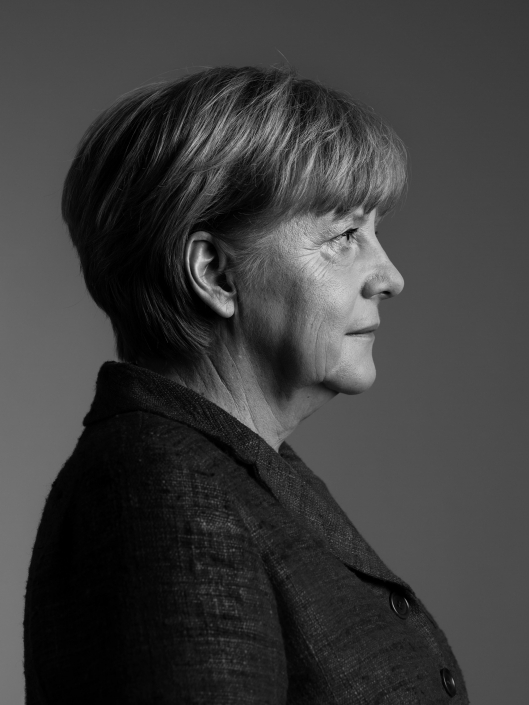 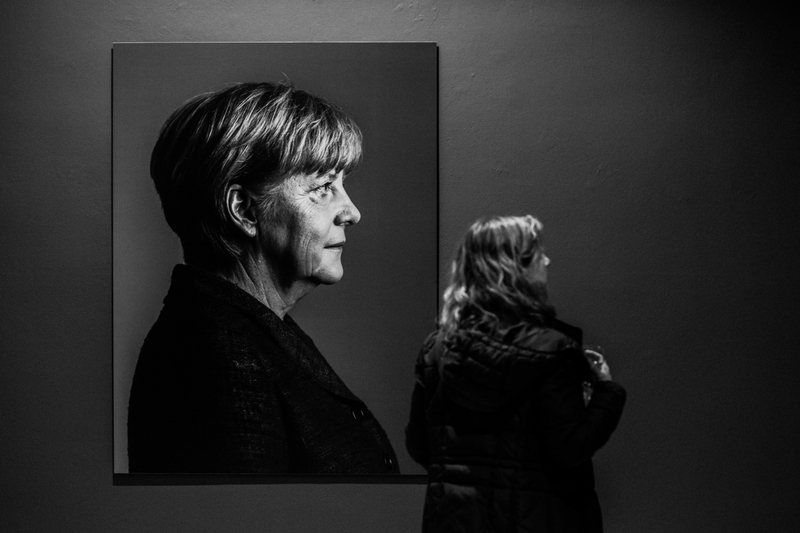 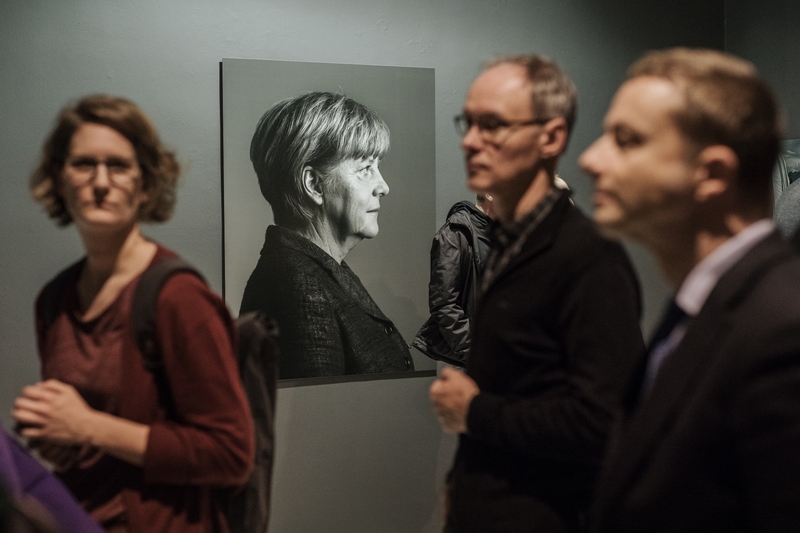 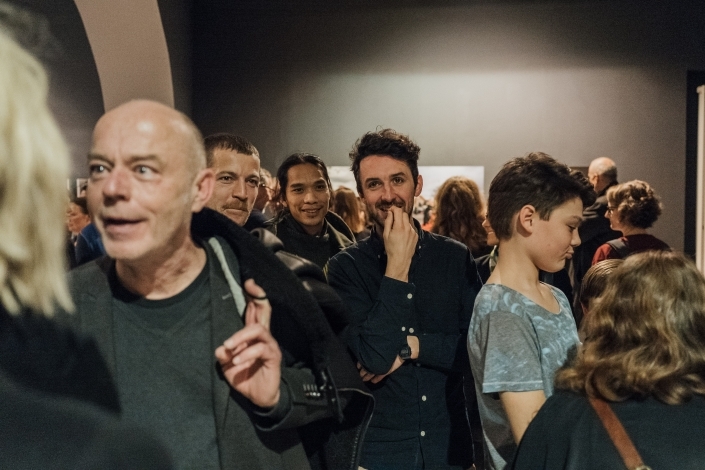 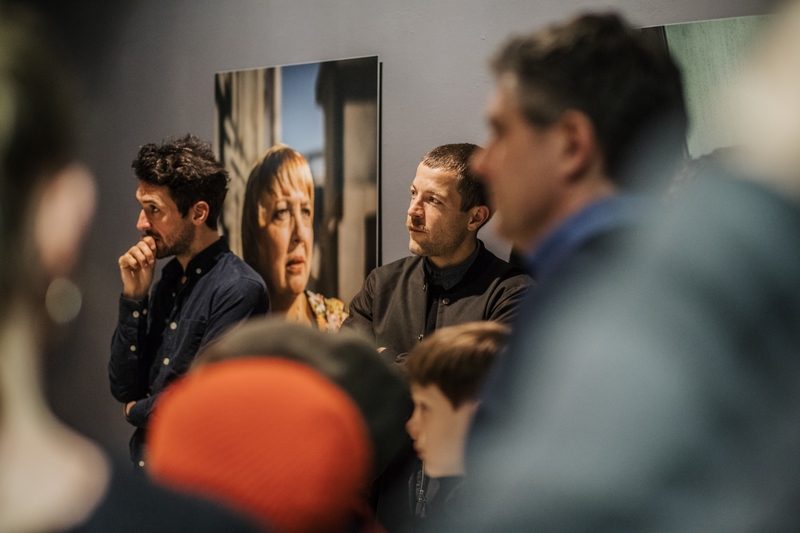 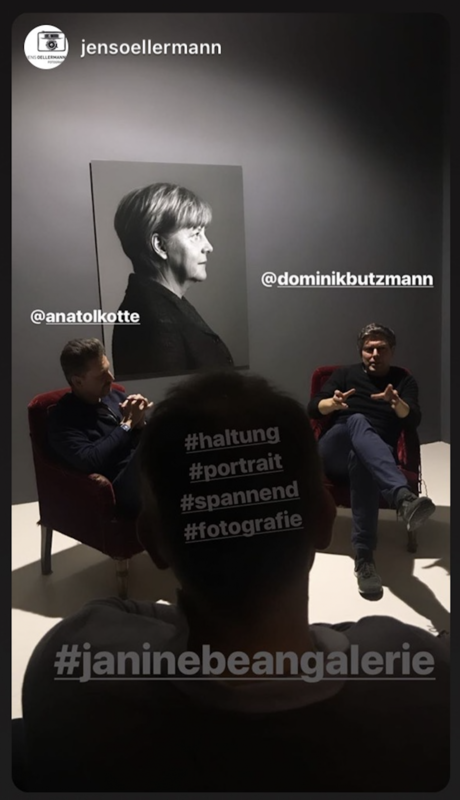 Nearly 1000 visitors saw a collection of my portrait works, students were drawing the pictures, a family from Angela Merkels hometown traveled to Berlin to see the show. 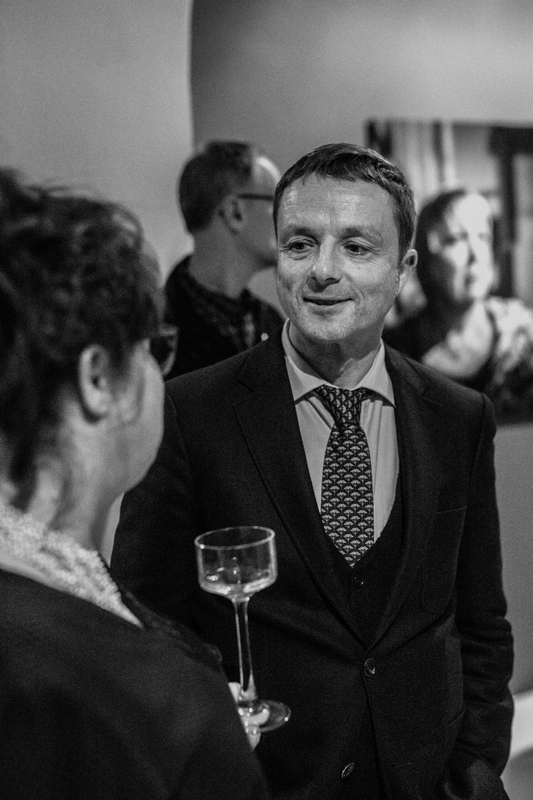 Friends, colleagues, clients and all my close relatives from all over the country. 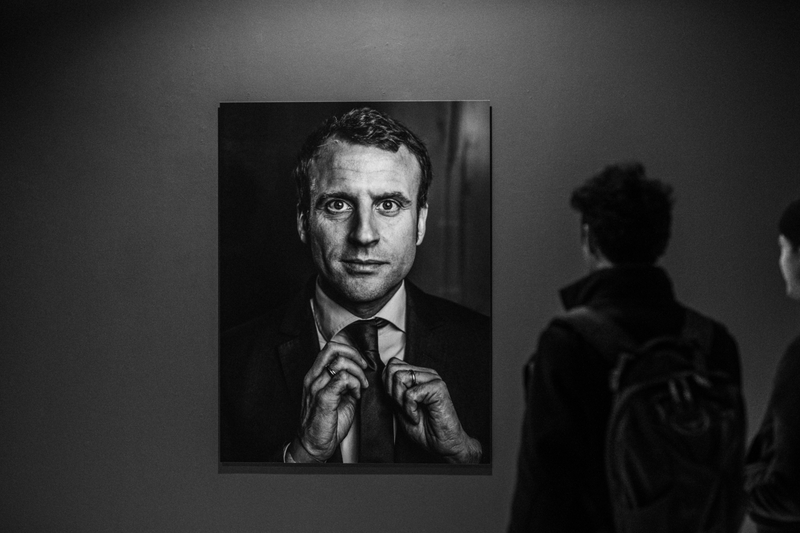 I am so proud and I feel motivated and inspired. So many wonderful talks, hard discussions, big laughs. 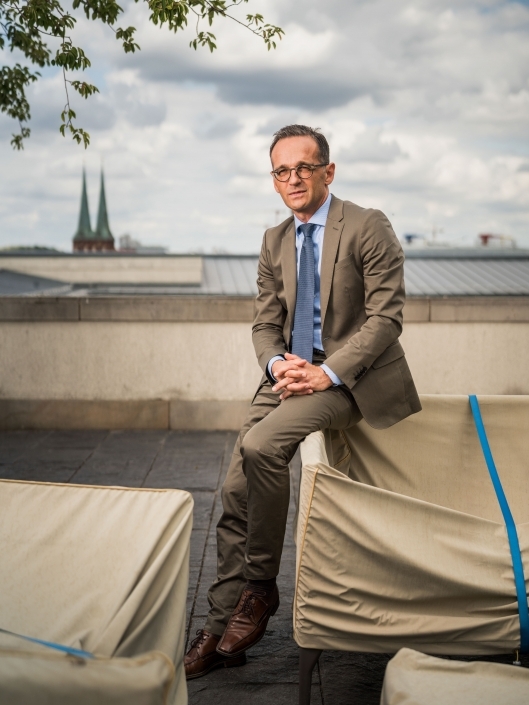 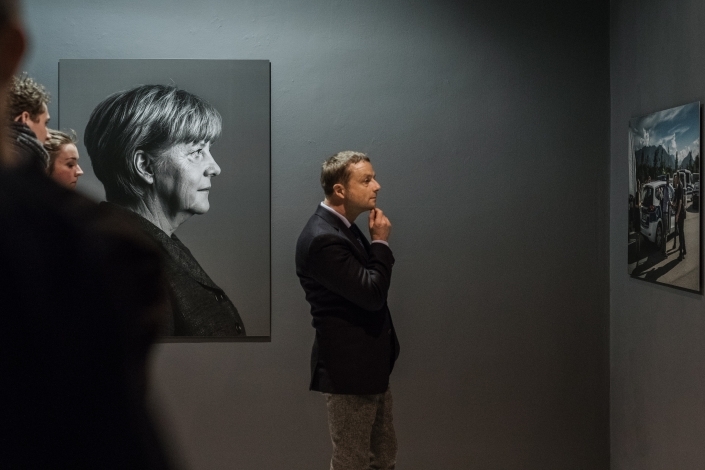 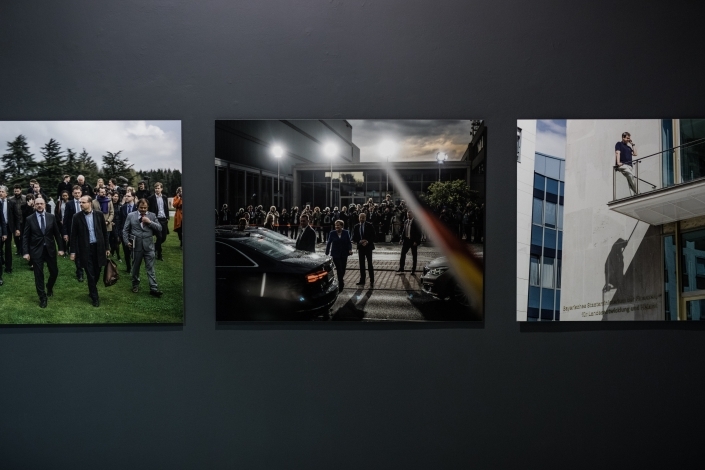 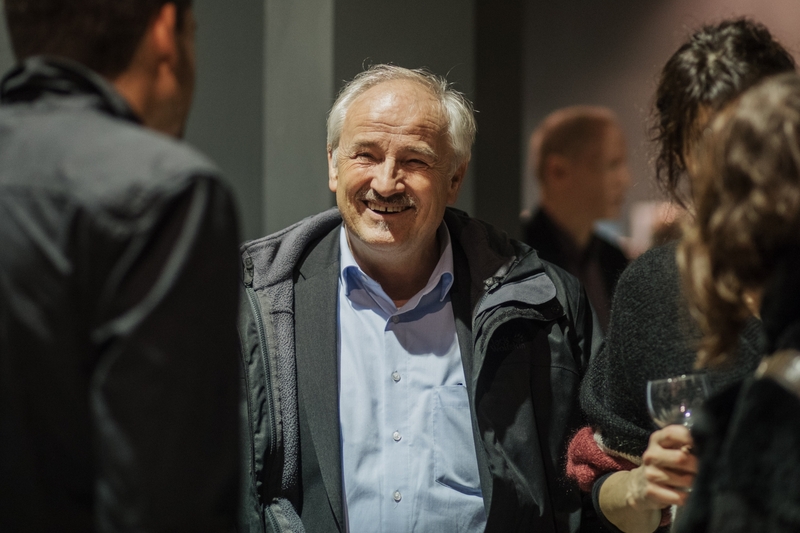 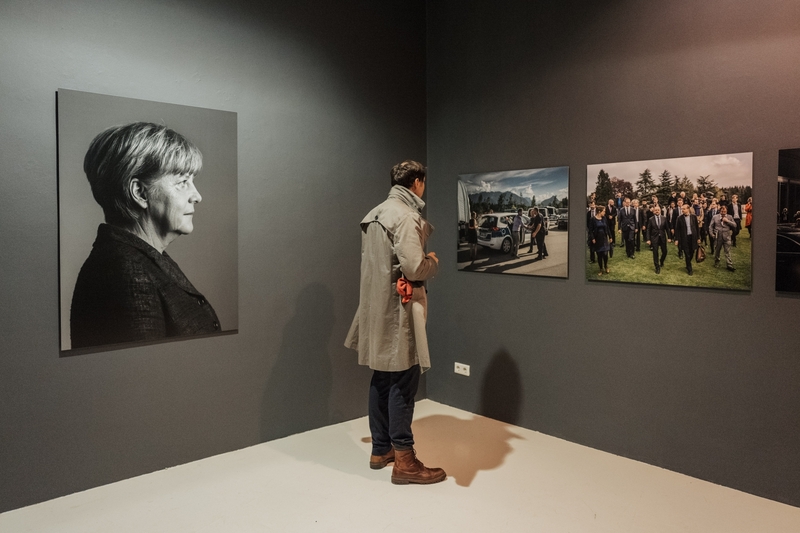 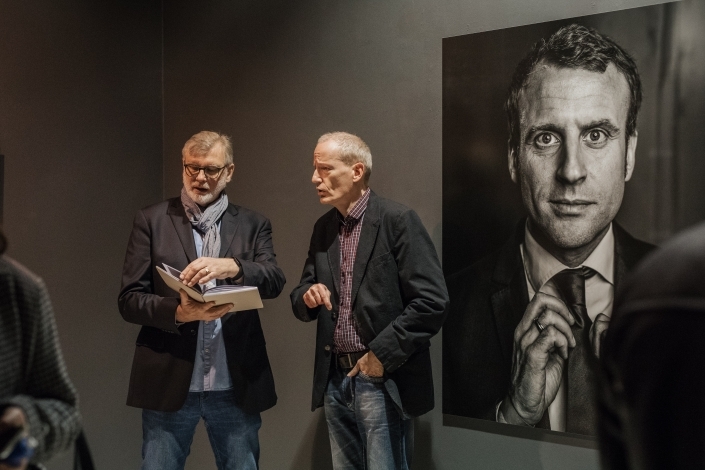 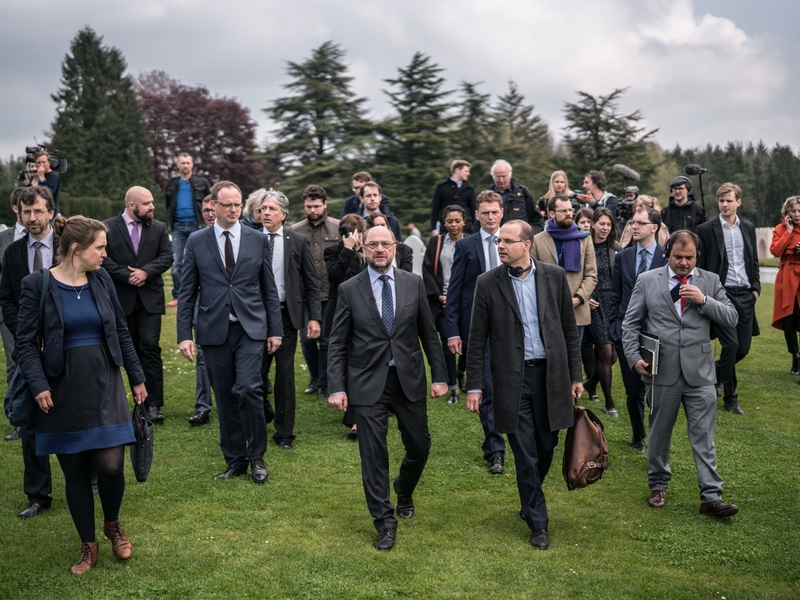 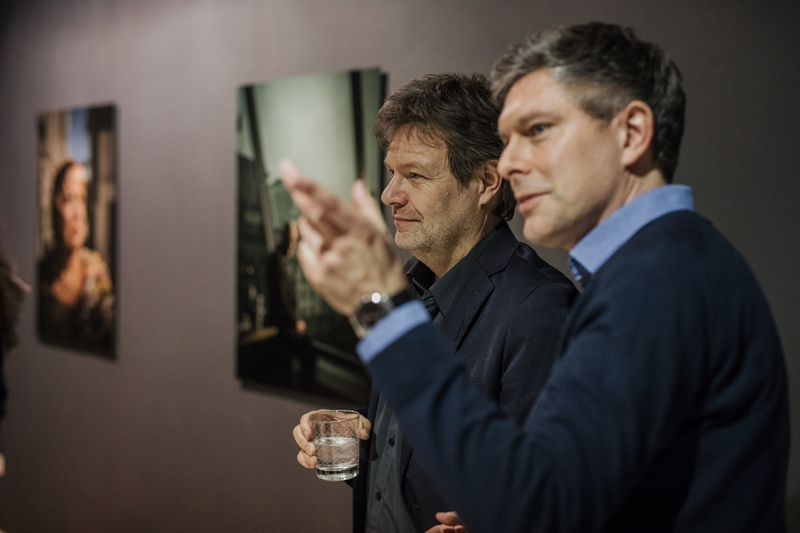 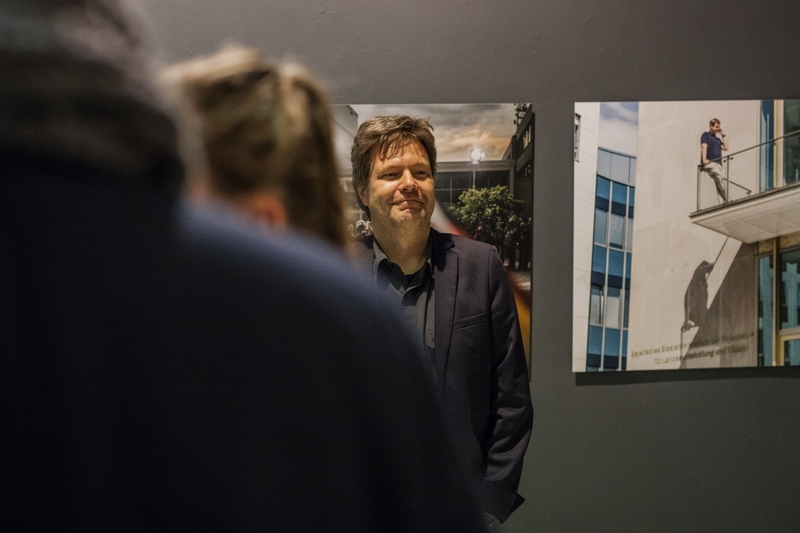 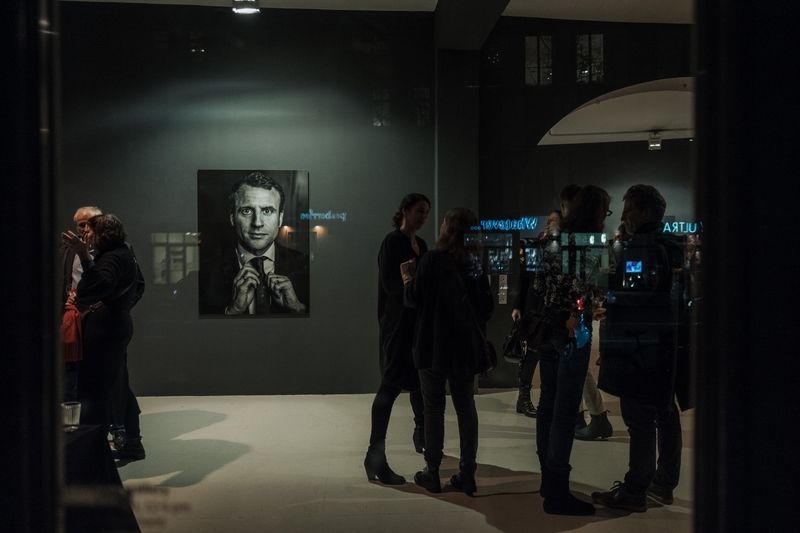 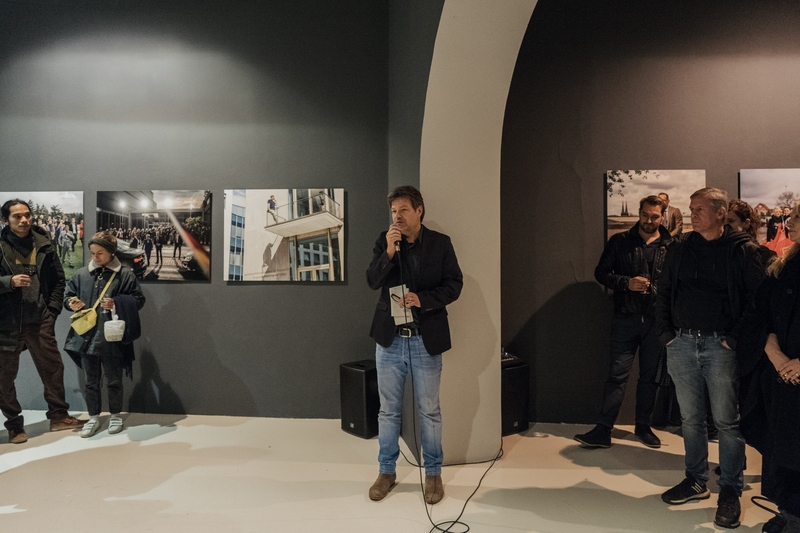 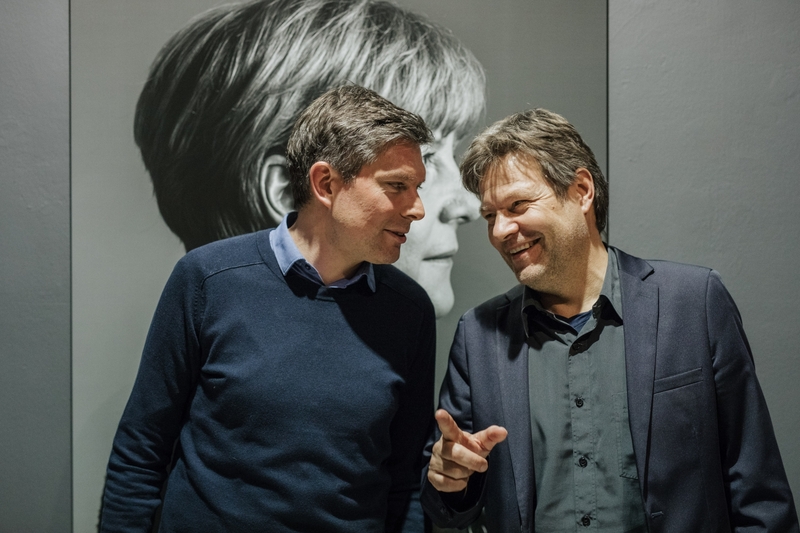 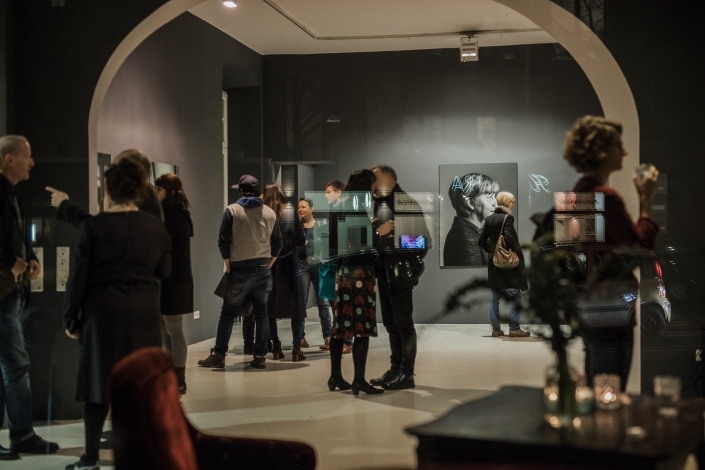 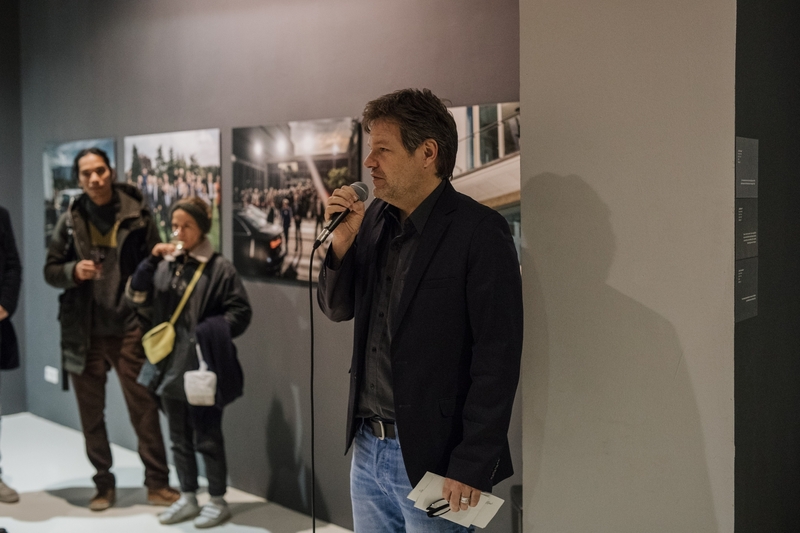 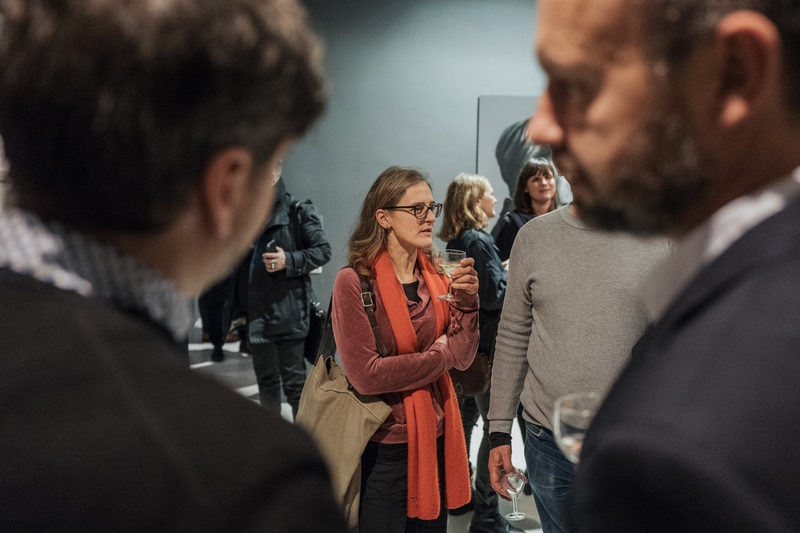 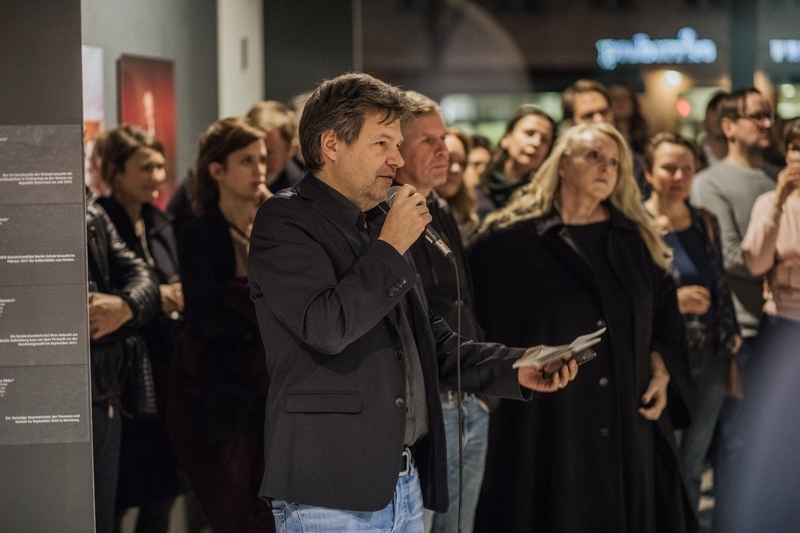 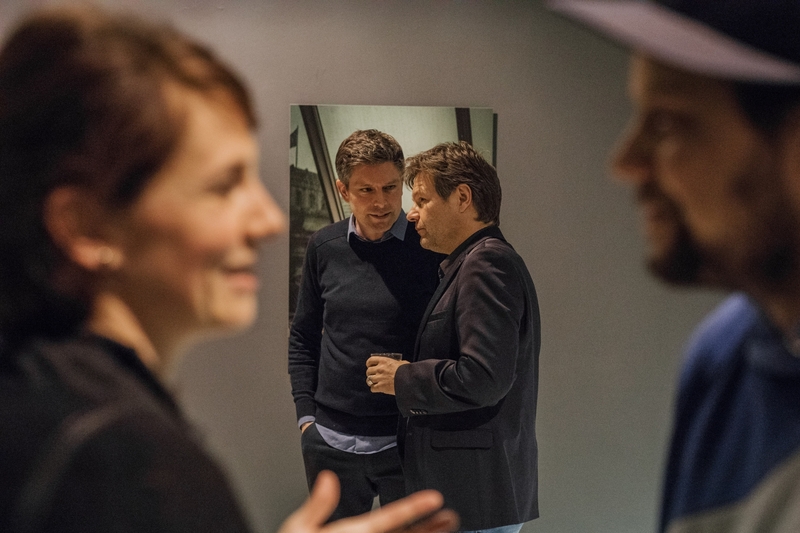 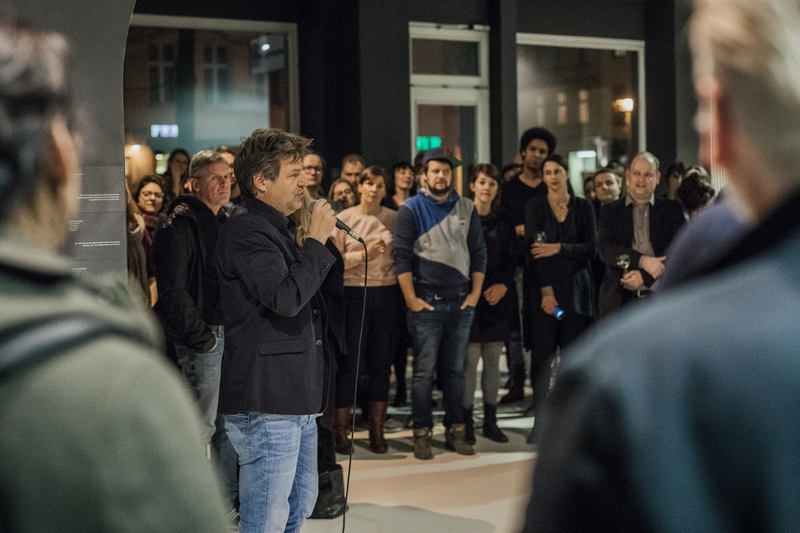 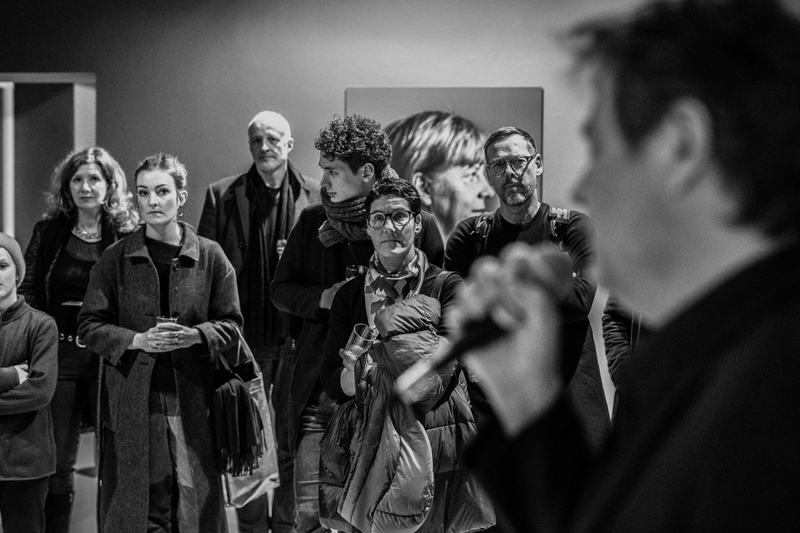 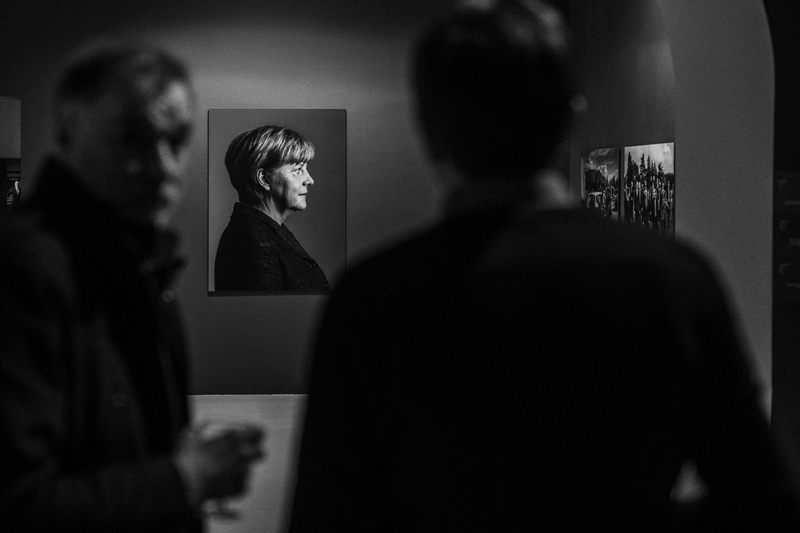 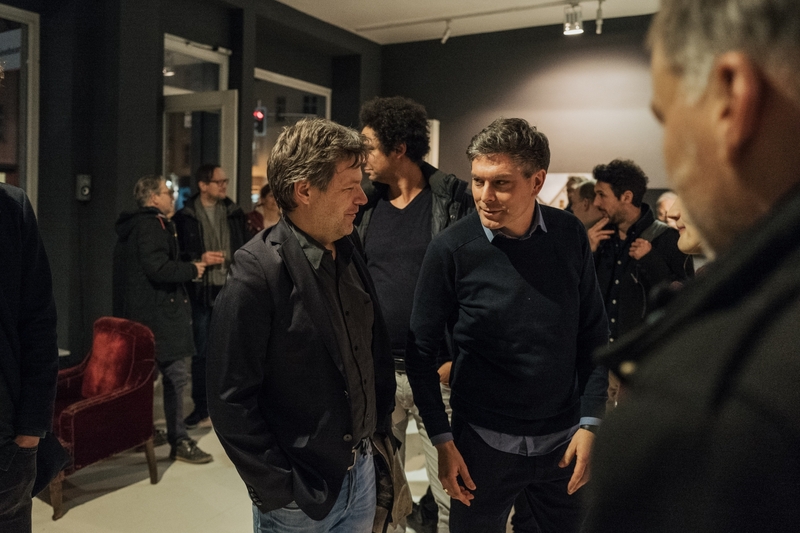 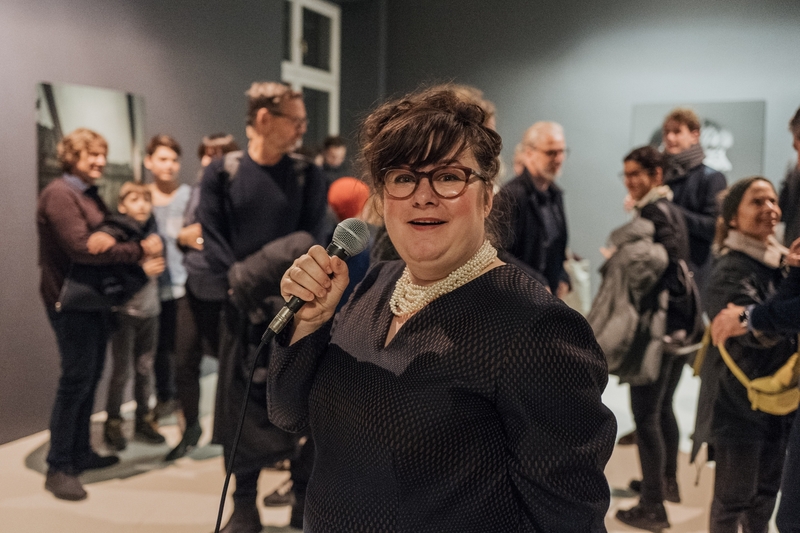 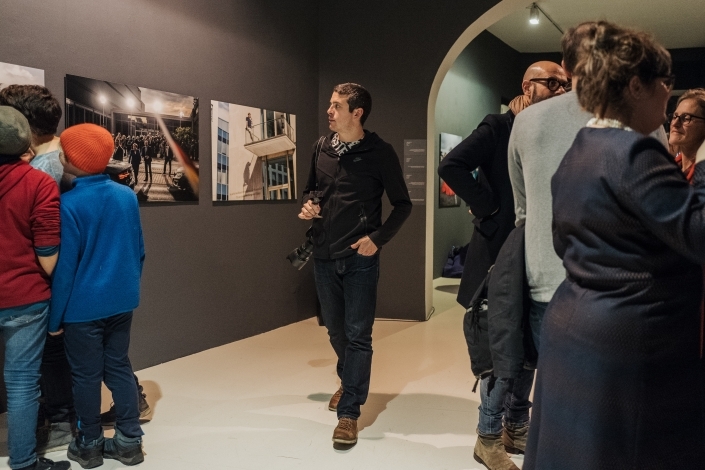 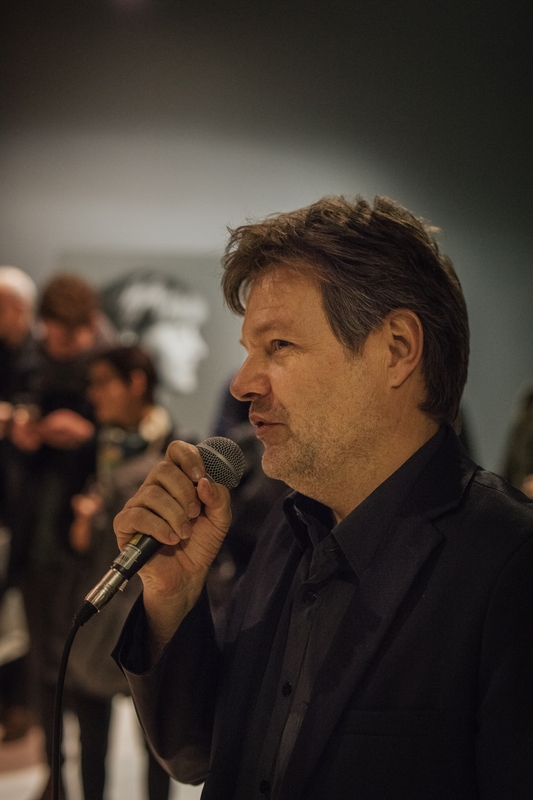 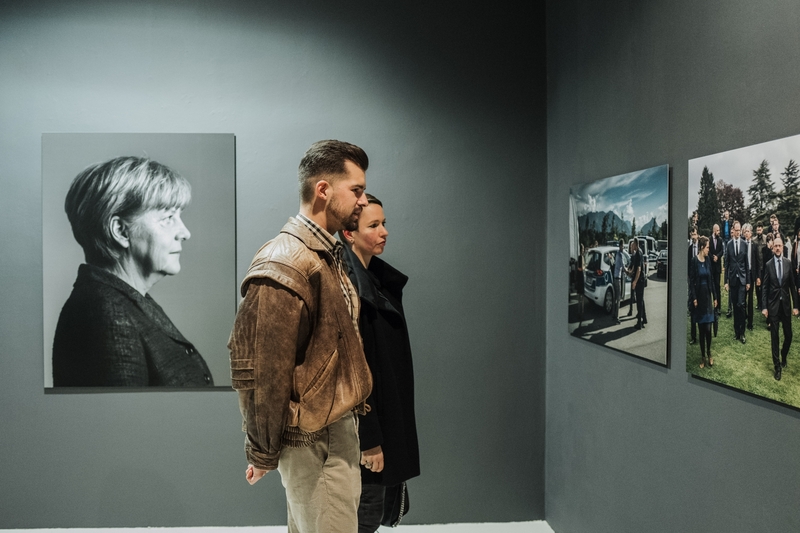 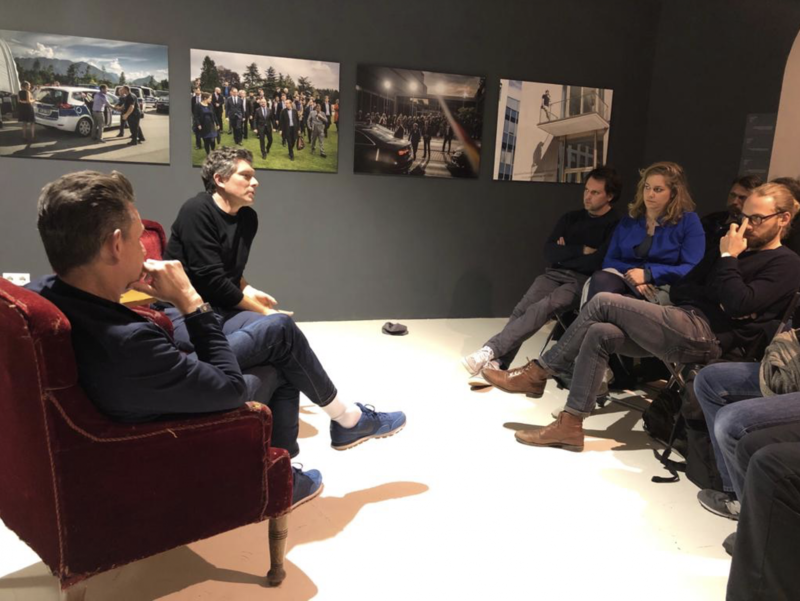 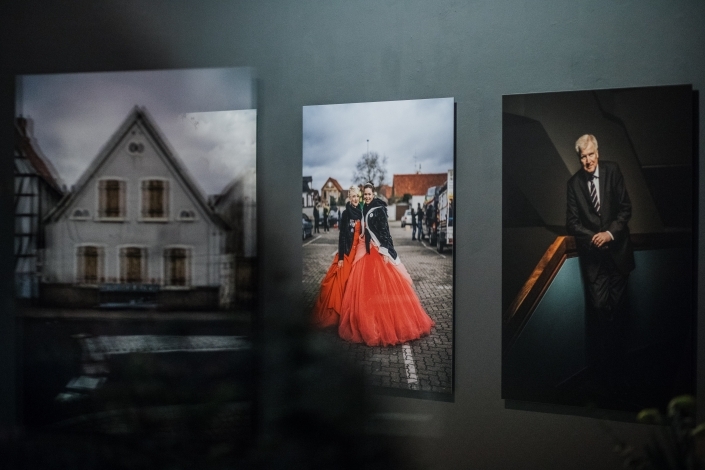 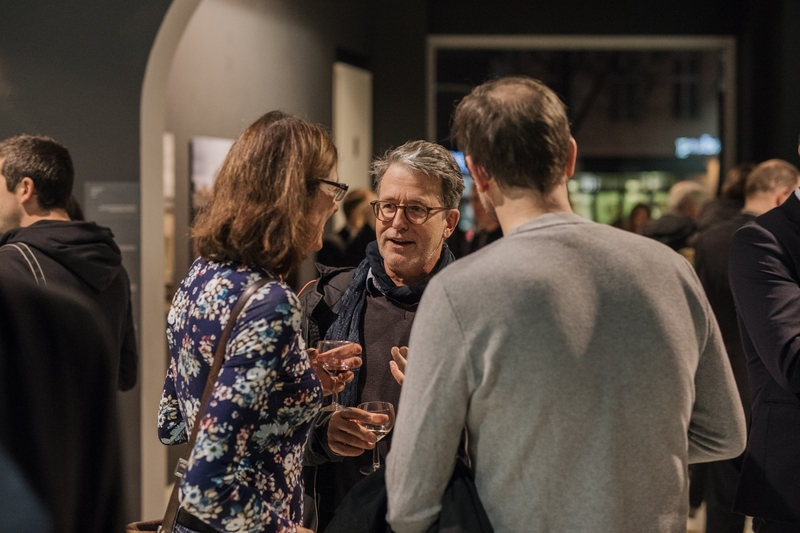 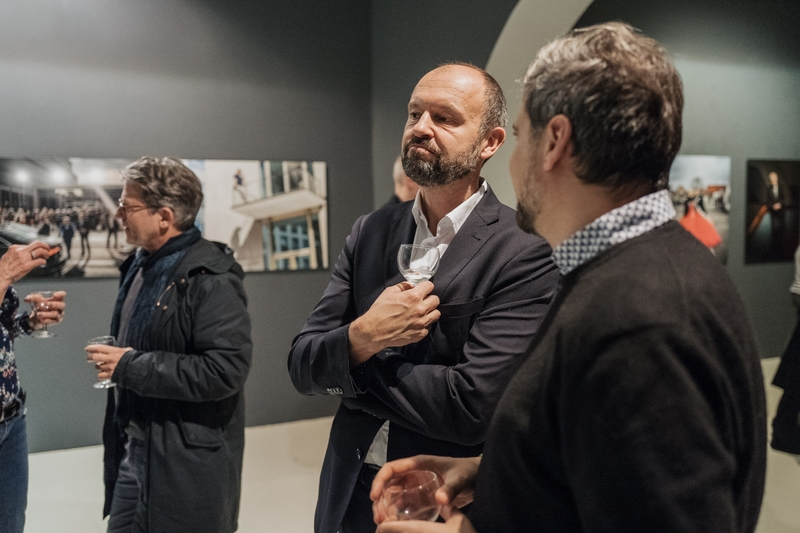 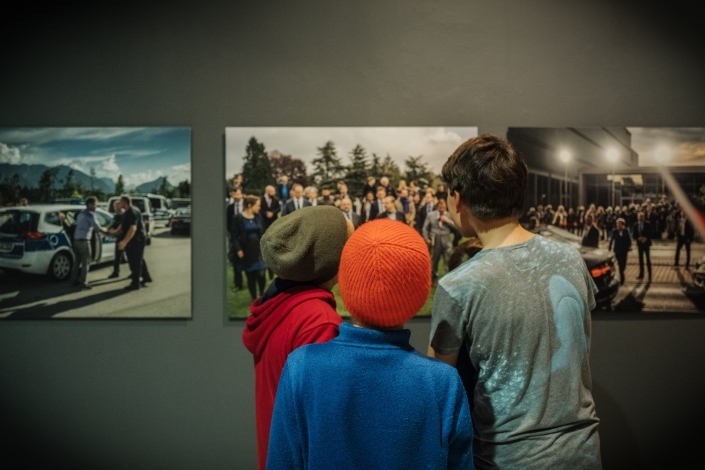 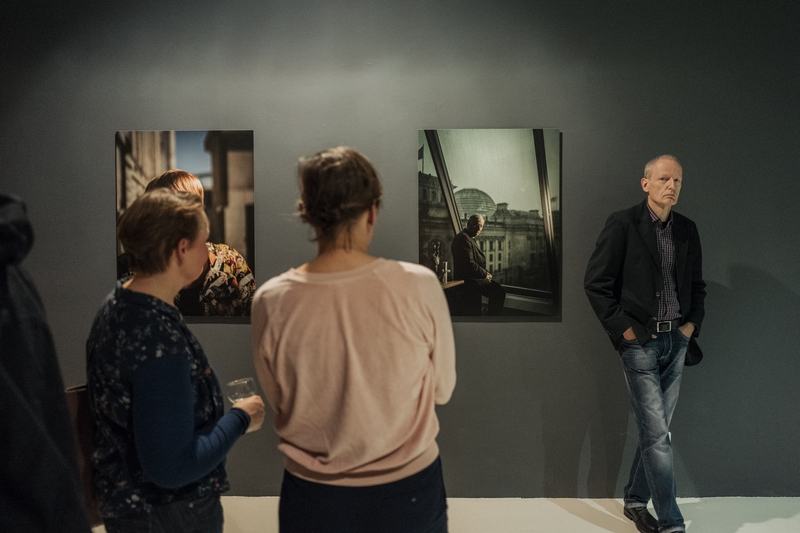 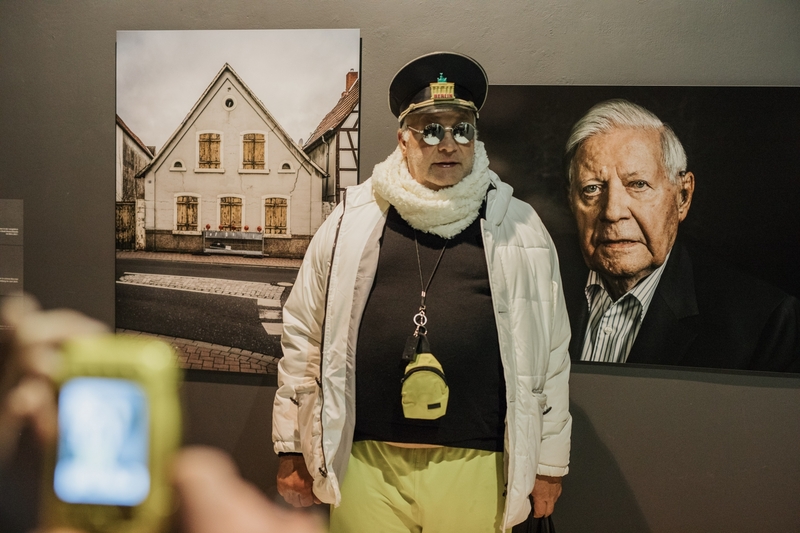 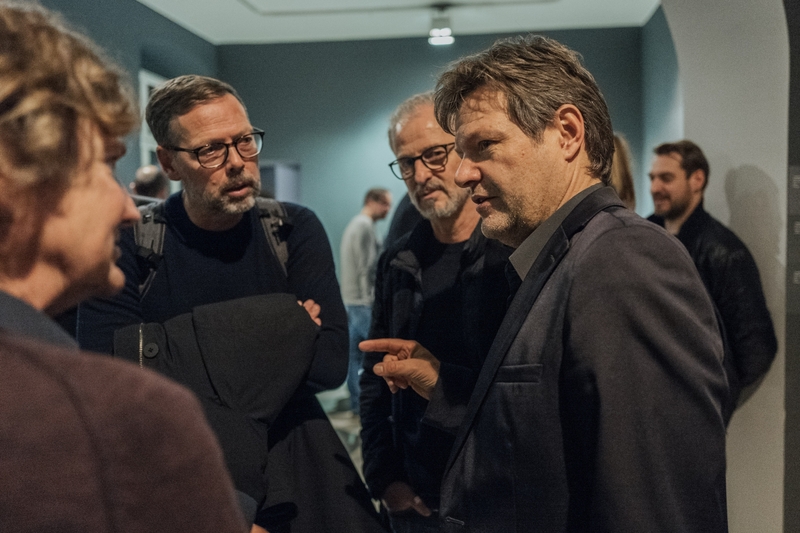 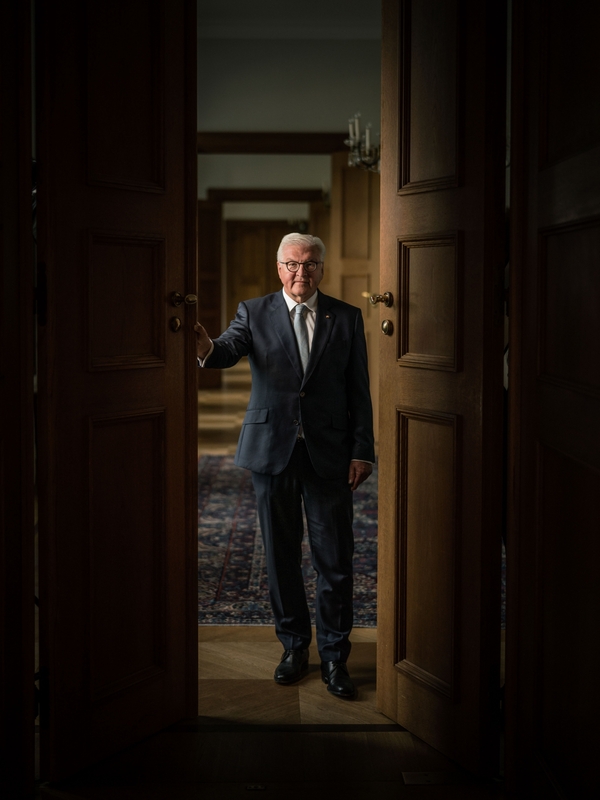 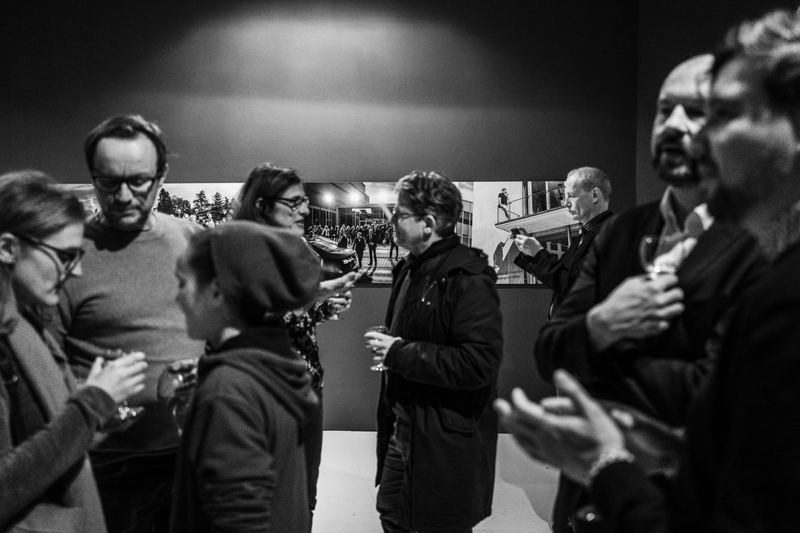 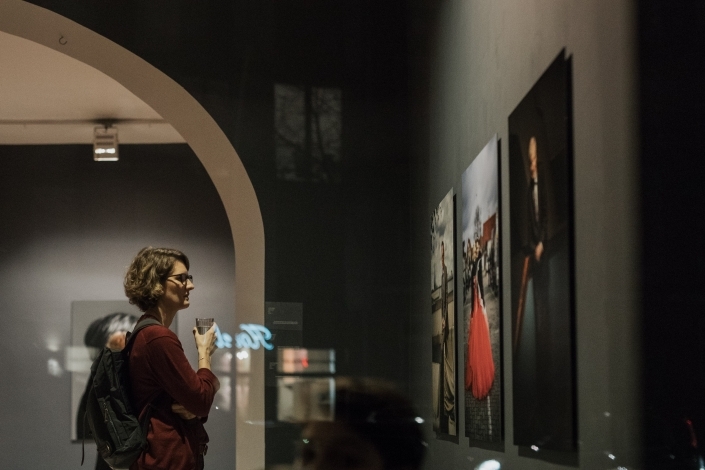 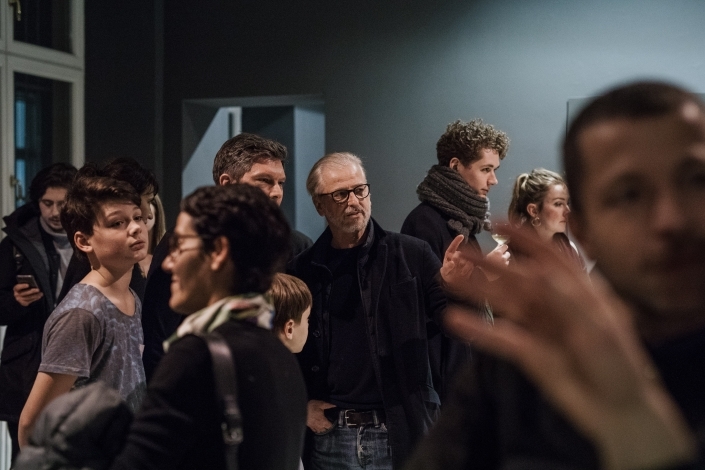 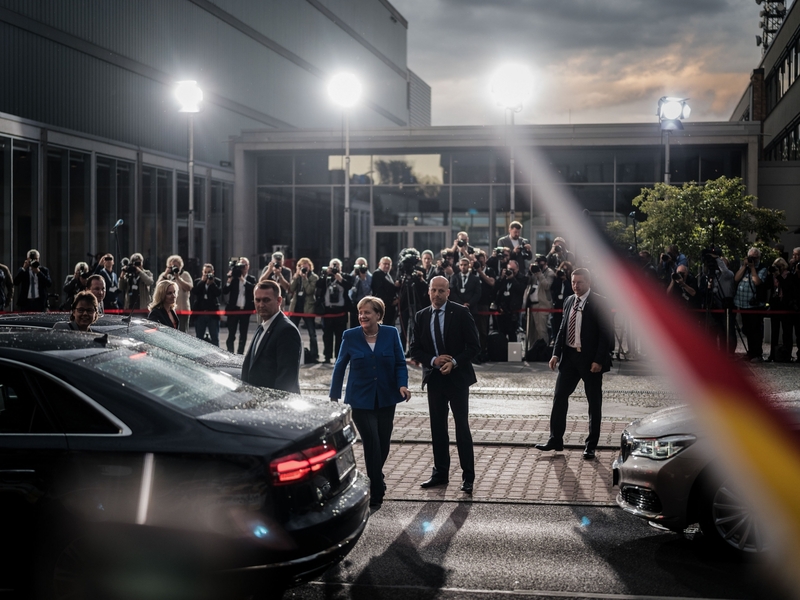 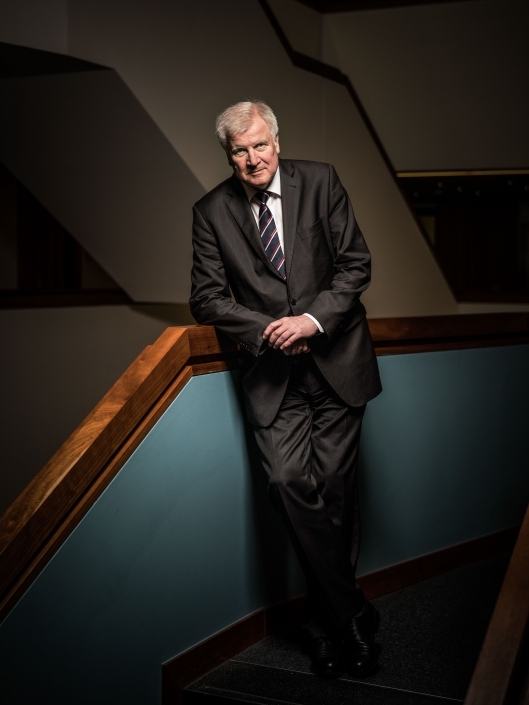 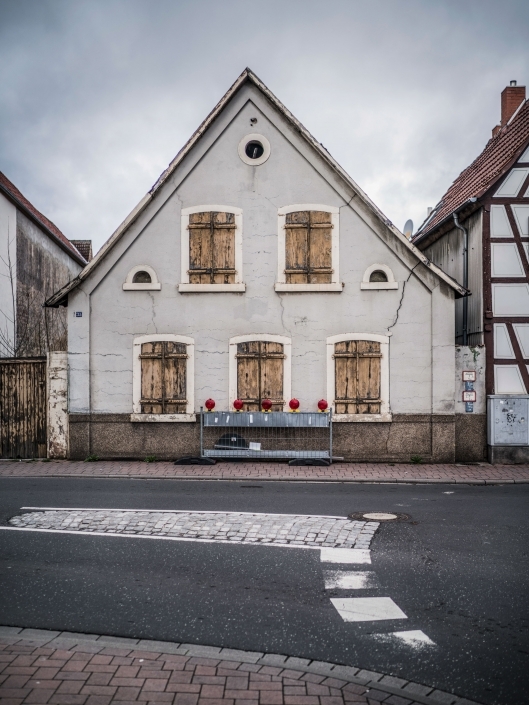 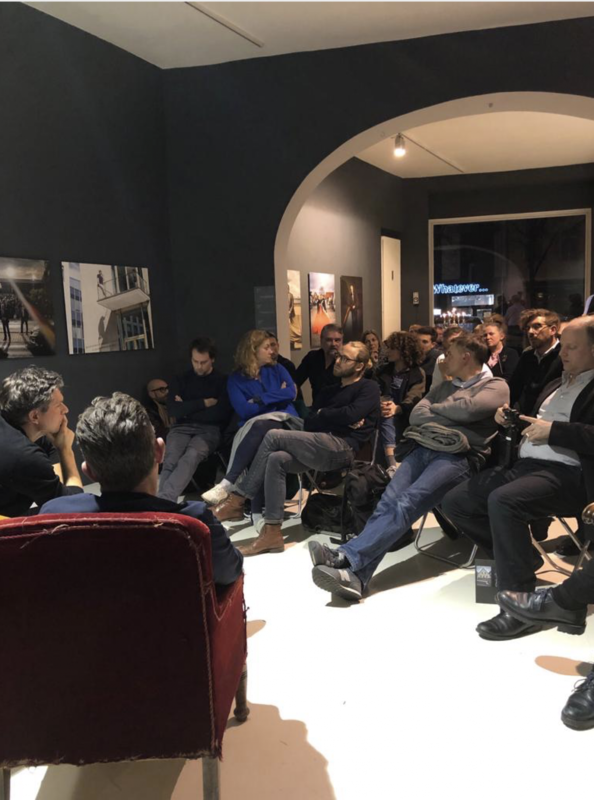 Robert Habeck opened the show on Wednesday 16th of January with a precisely developed analysis of my work and a general overview to the question „How does it feel to be photographed as a very popular politician?“. 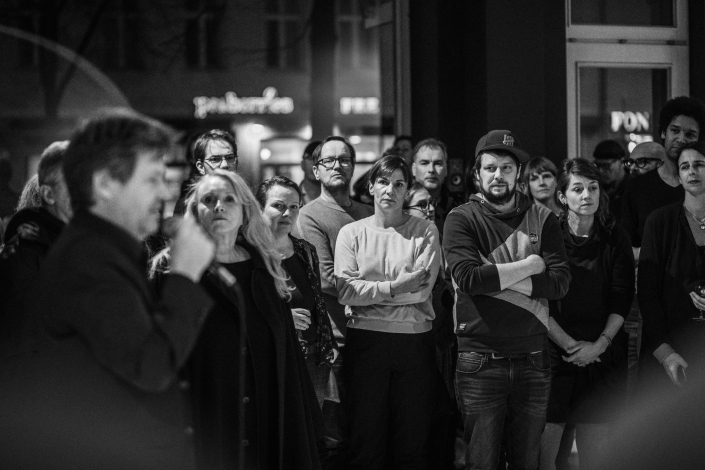 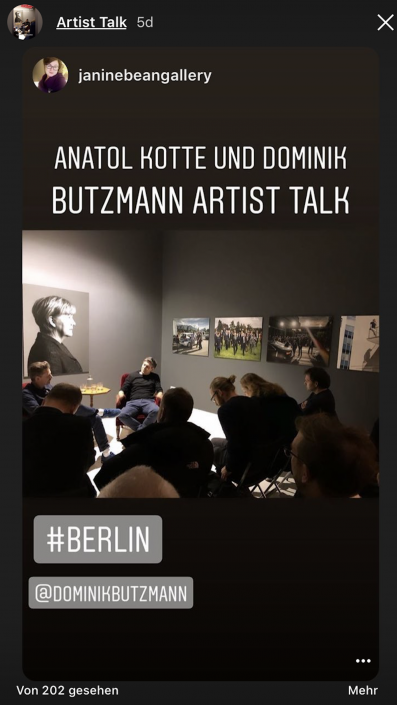 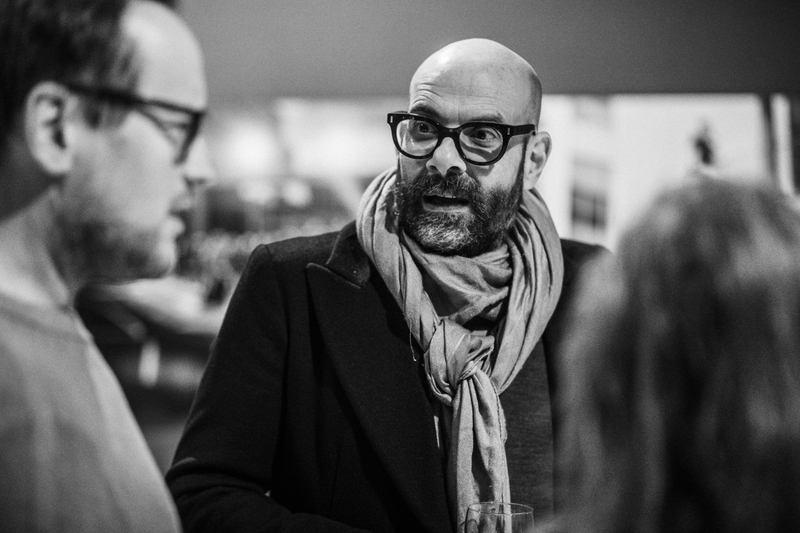 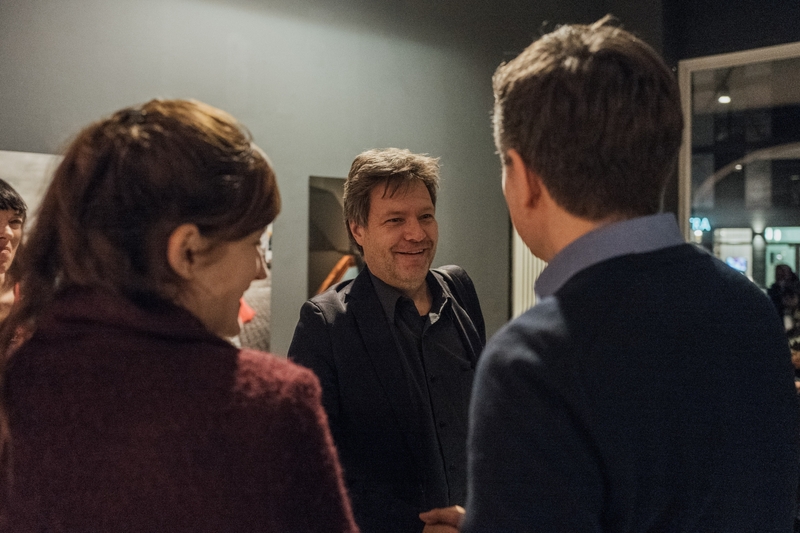 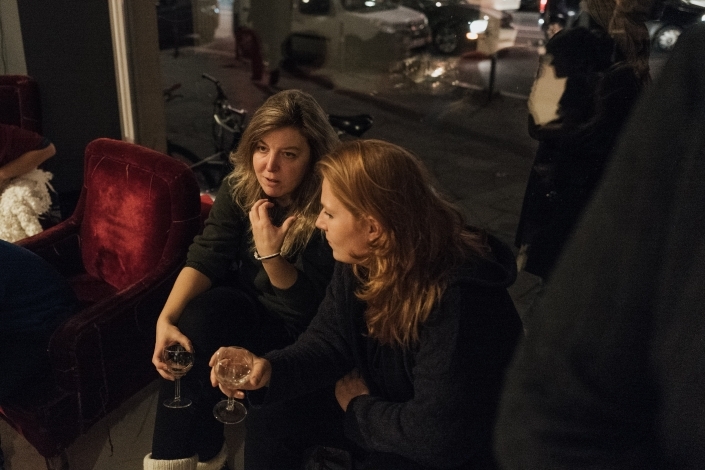 Anatol Kotte joined me in a discussion on „Haltung“ during our artist talk on February 13th. 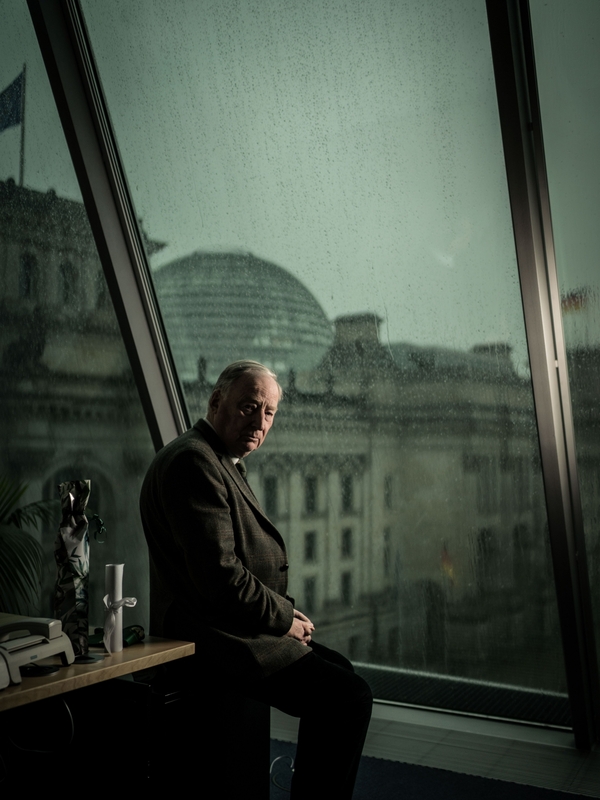 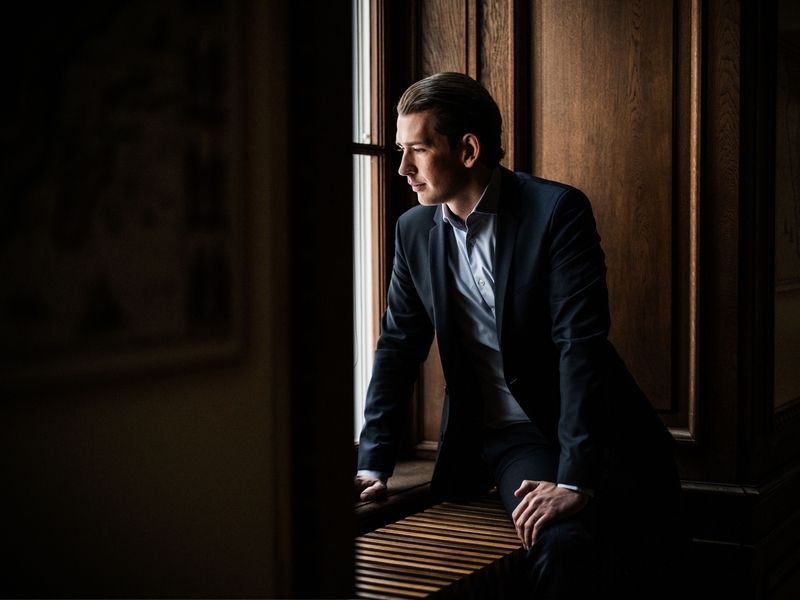 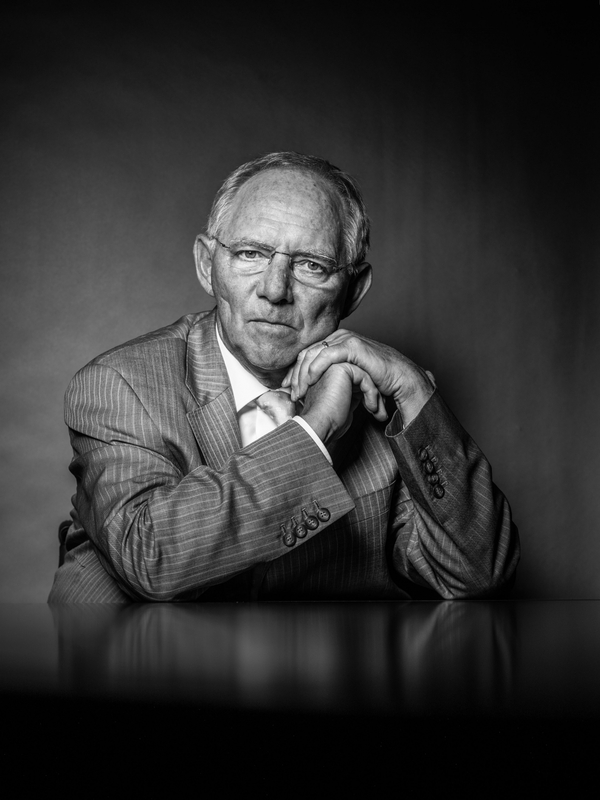 Anatol criticized me: the touching picture of AfD leader A.Gauland would be too much touching. 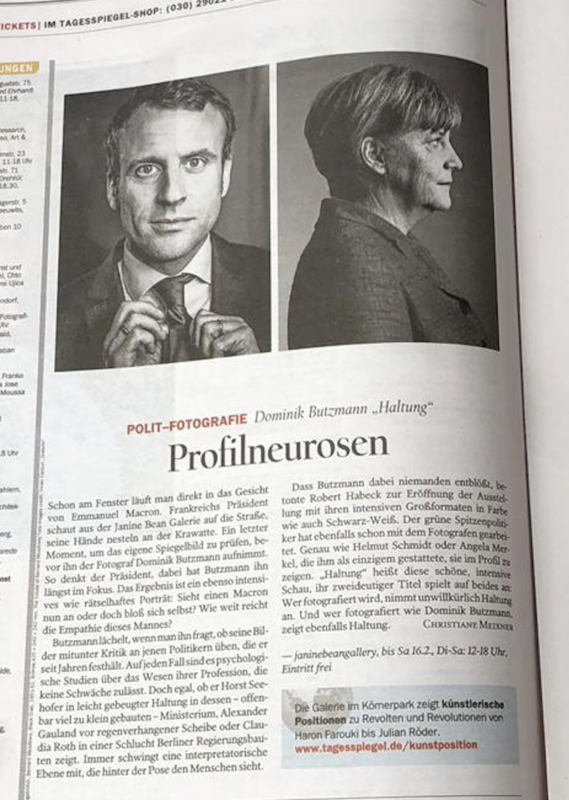 „You are helping him with the picture“. 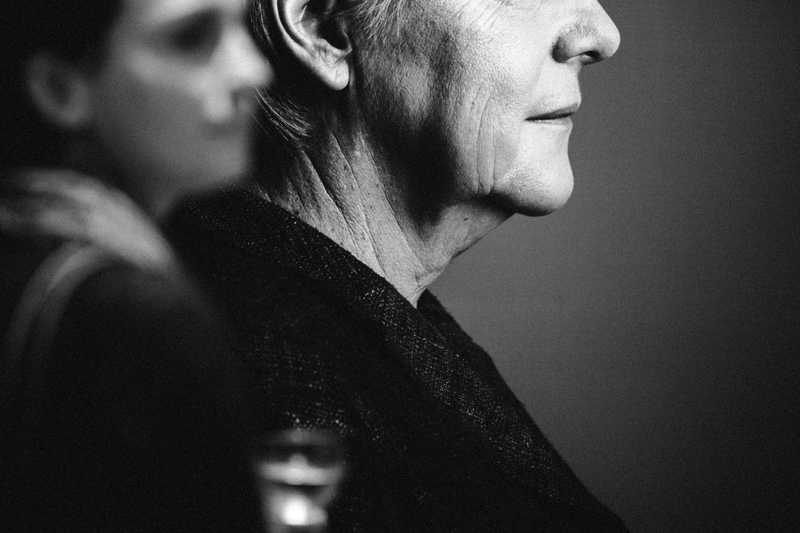 I answered that my approach to photography is a human approach and I won’t leave this path whoever I am going to portray. 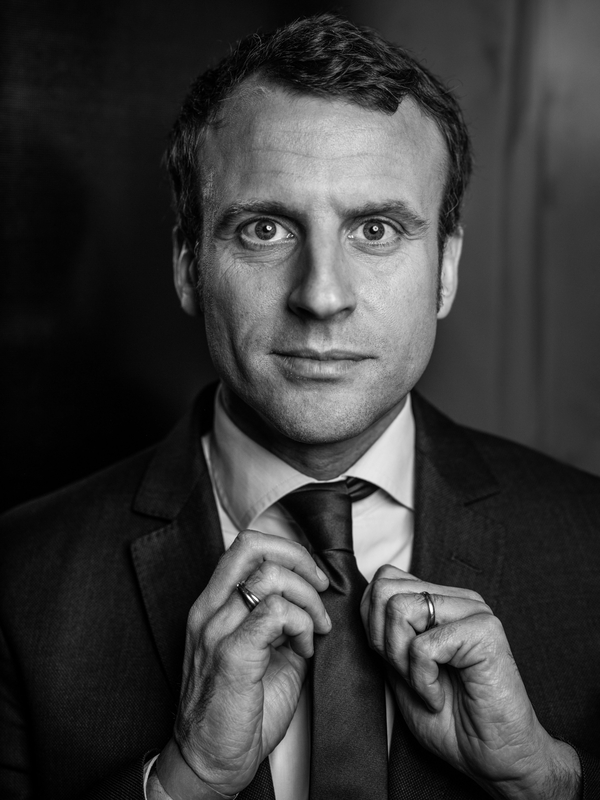 Anatols way would be to let the right wing leaders reveal their character just by themselves, just make it visible how bad they are. Many photographers were present and we were discussing how much the photographer himself must have a strong position, how much he needs to convince the portrayed person to cooperate just with his own character. 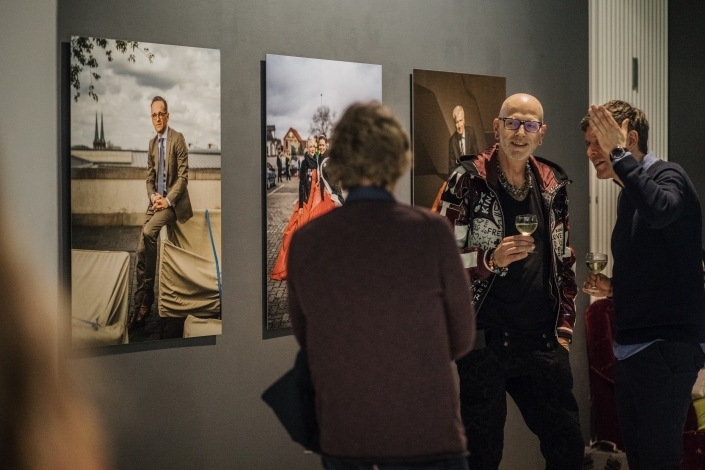 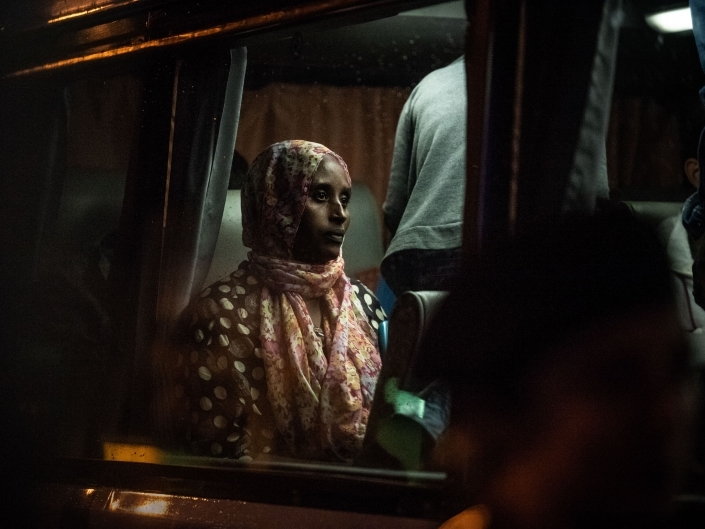 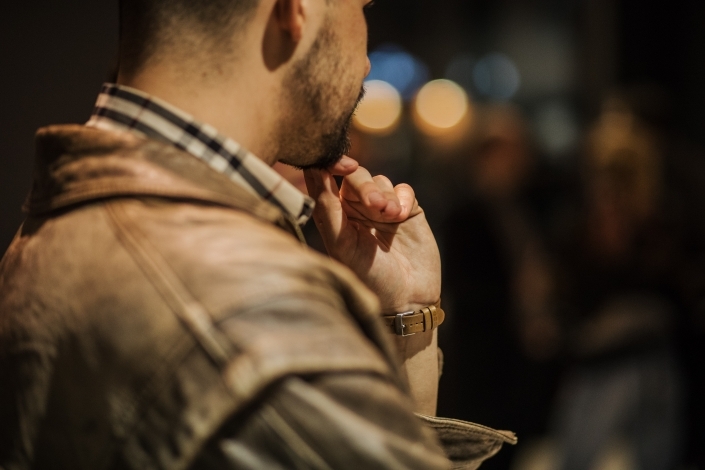 In the end we agreed in the fact that a portrait photographer must have found himself, simply should know what he himself loves and hates to bring someone else down to himself. 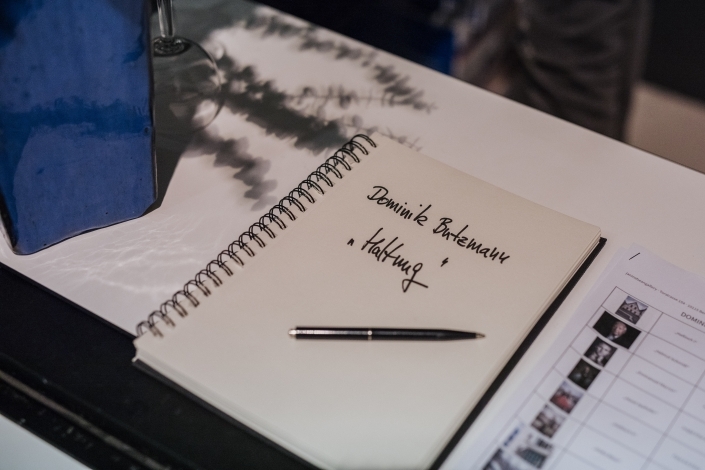 And that is what I wanted to say when I chose HALTUNG as an headline. 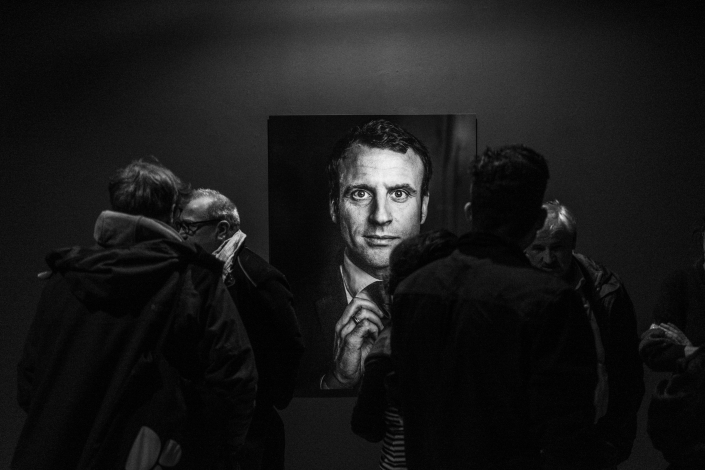 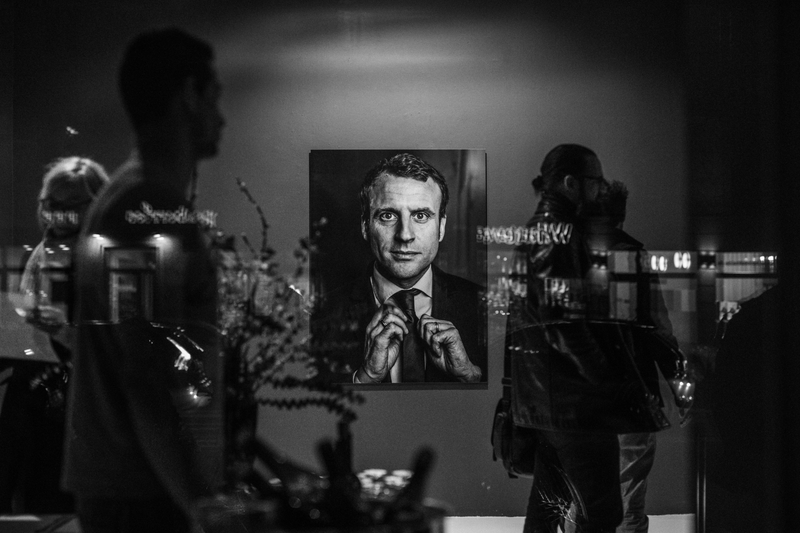 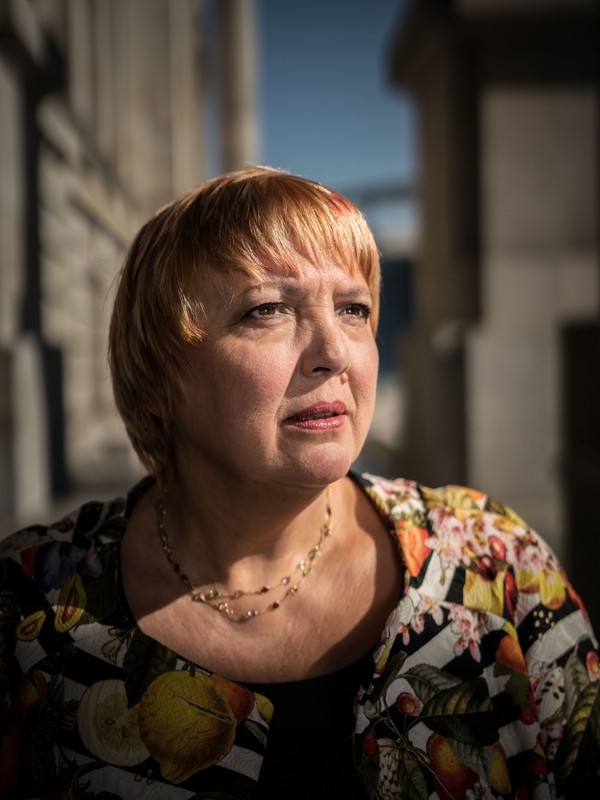 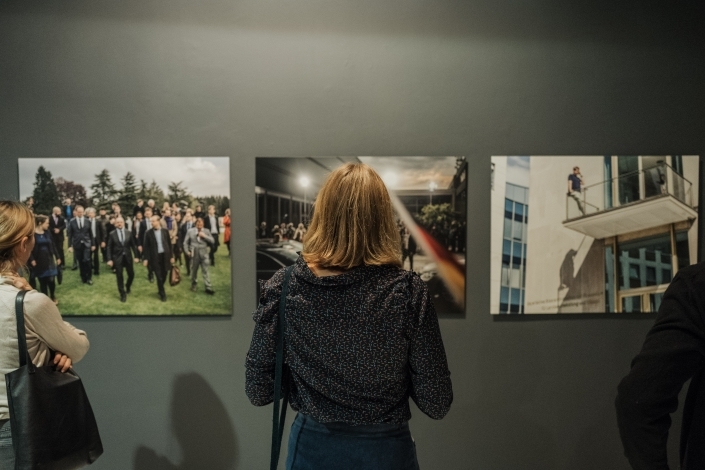 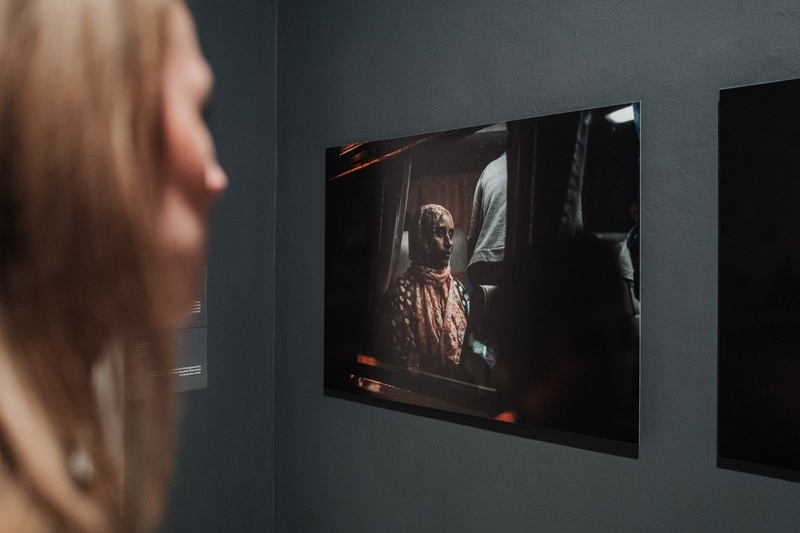 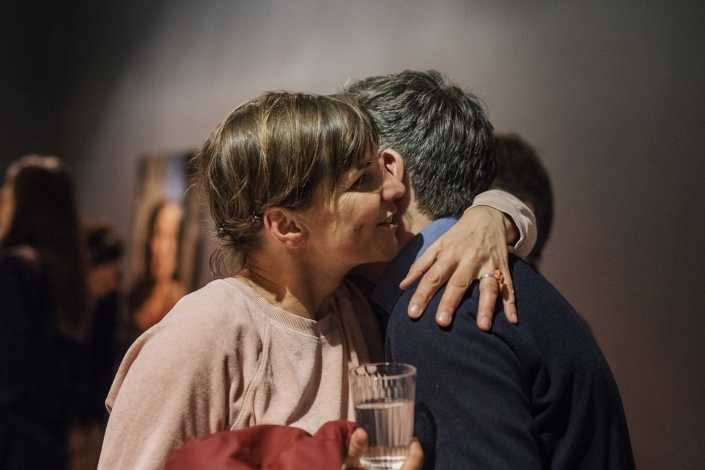 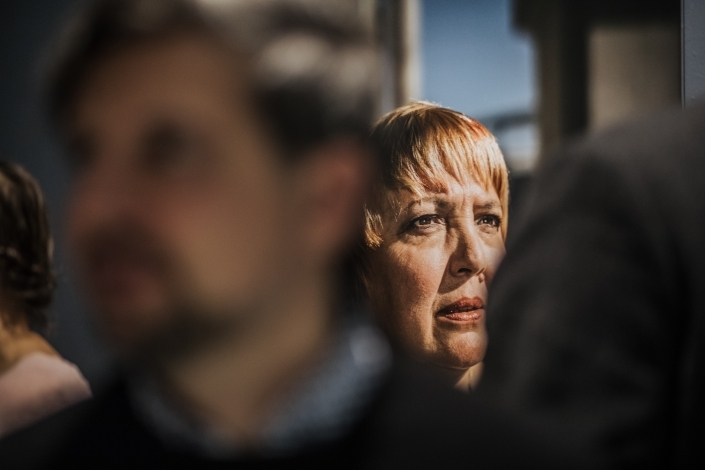 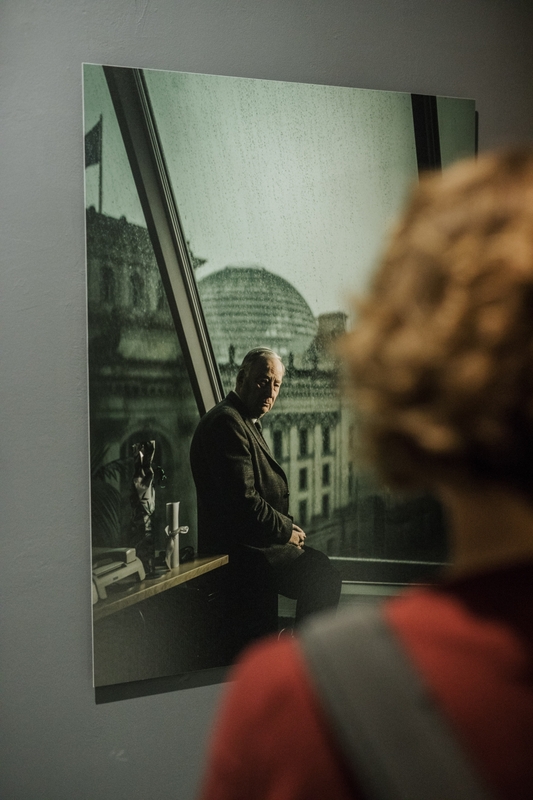 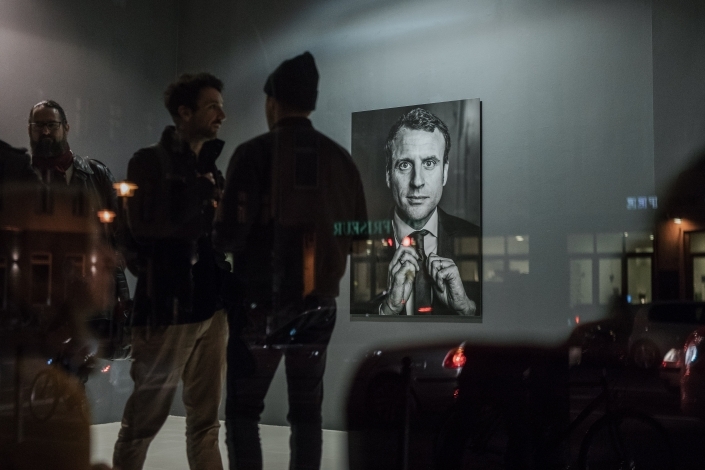 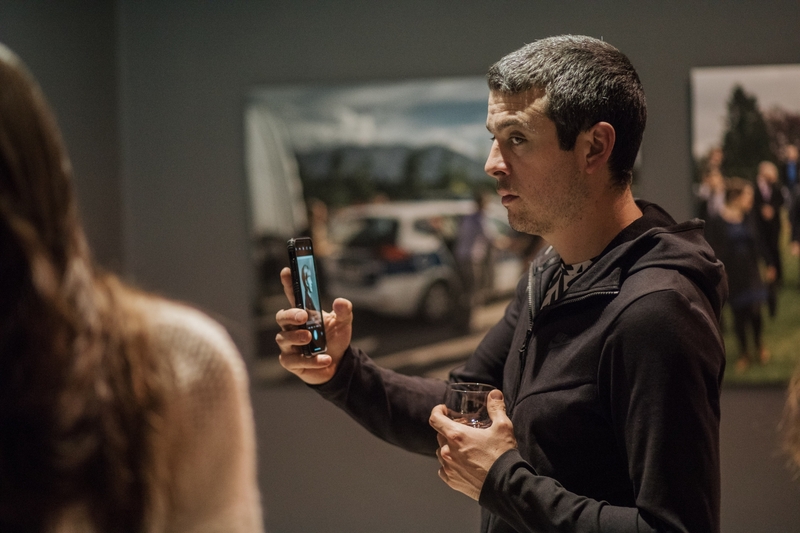 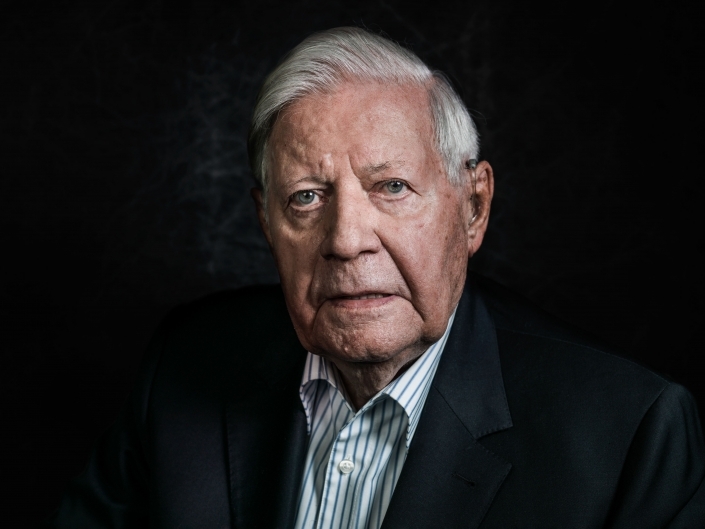 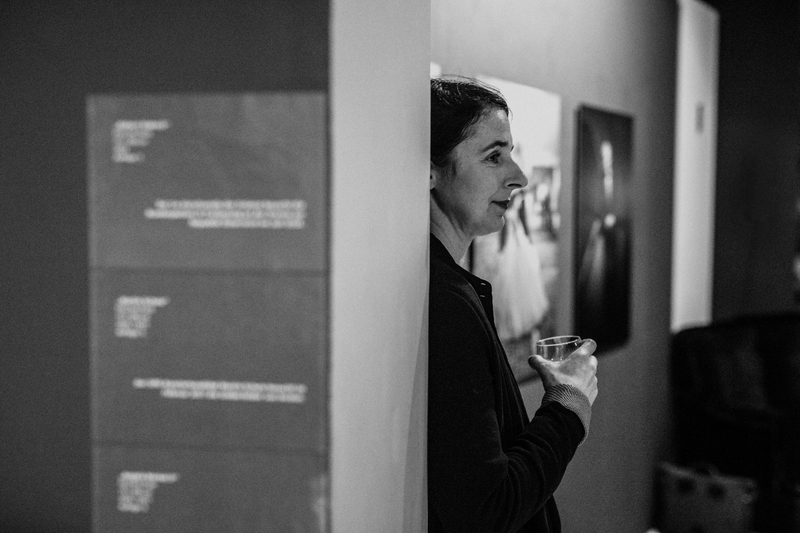 Christiane described my show as „intensive“ and „beautiful“ and that my pictures are a „psychological study on the nature of politics“ that want to “ show the human being behind the politician“. 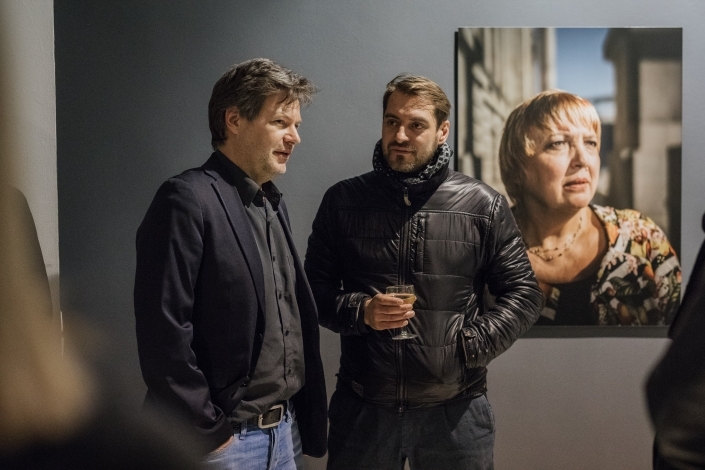 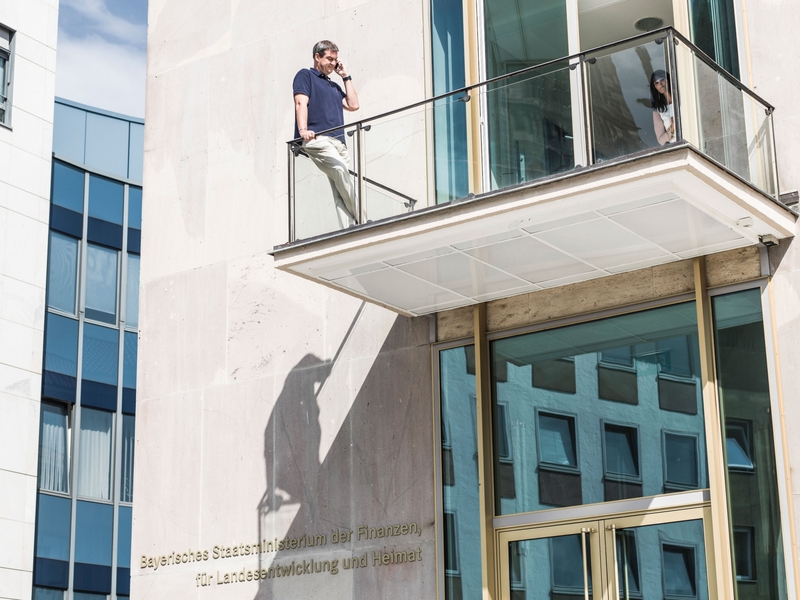 HALTUNG was displayed from 18ht January to 16th of February at janinebeangallery, Torstraße 154 in Berlin. Prints/Conditions available through the Gallery.